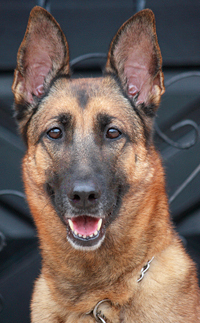 Payton Von Parnas is a stunning 2 year old German Shepherd. 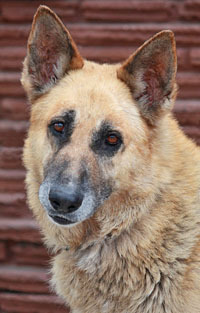 Sam von Stadtroda is a stunning 6-7 year old German Shepherd. 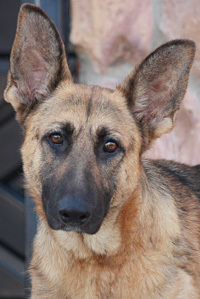 Gladys von Glappe is a gorgeous 11-12 month old smaller sized German Shepherd. 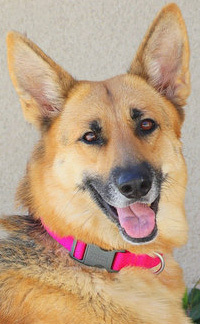 Merry Von Mejeriby is a beautiful 3 year old German Shepherd. 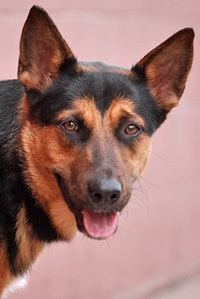 Rosie Von Risdal is an adorable 1-2 year old smaller sized Shepherd mix. 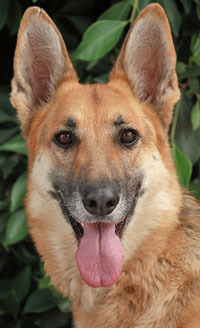 Sandy von Salto is a gorgeous 4 year old German Shepherd. 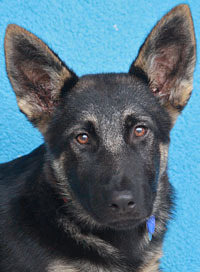 Lotti von Lottrup is a stunning 5 month old German Shepherd mix pup. 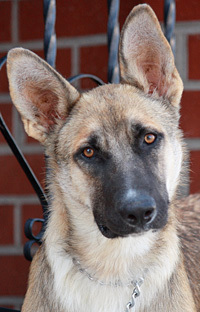 Britta von Brink is a gorgeous 5 month old German Shepherd mix puppy. 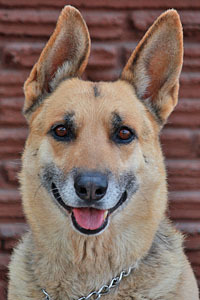 Molly von Mosbach is a gorgeous 2-3 year old Shepherd mix. 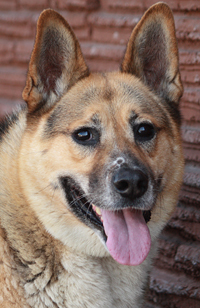 Daisy von Dillenburg is a gorgeous 5-6 year old German Shepherd. 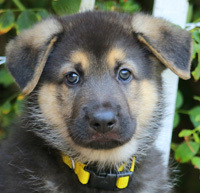 Will von Seyko is a sweet 8 week old German Shepherd puppy. 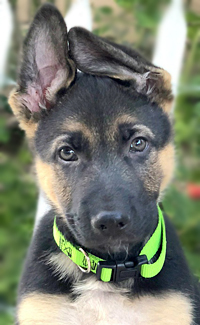 Reggie von Rejsby is an adorable 10 week old German Shepherd puppy. 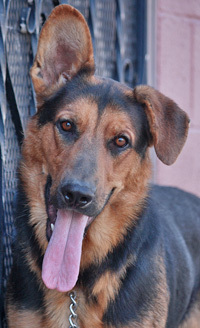 Phillip von Phoniks is a wonderful 2-3 year old German Shepherd. 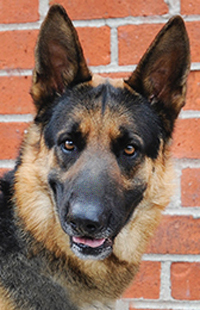 Marshall Von Marke is a stunning 16 month old German Shepherd. 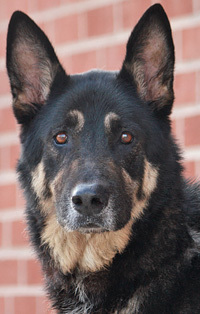 Walle von Wallace is a very sweet and handsome 5 year old German Shepherd mix. 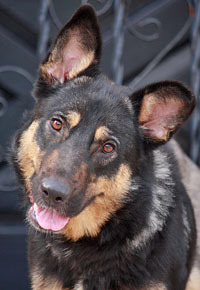 Waldo von Warnitz is the most incredibly sweet, 8-10 month old German Shepherd mix. 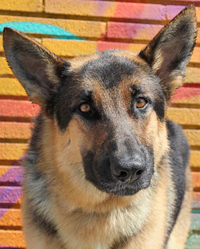 Jameson von Jerxheim is a very handsome 2 year old German Shepherd. 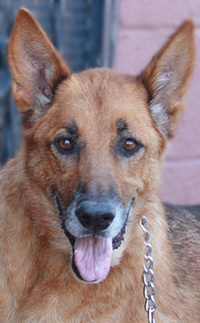 Tobias von Koblenz is a very handsone 5 year old German Shepherd mix. 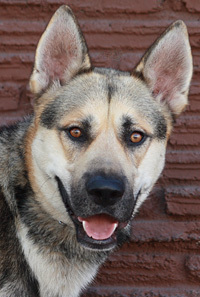 Konan Von Kohren is a gorgeous 12 month old Shepherd mix. 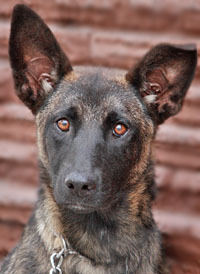 Riley von Rieseby is a gorgeous 12 month old German Shepherd with maybe a touch of Malinois. 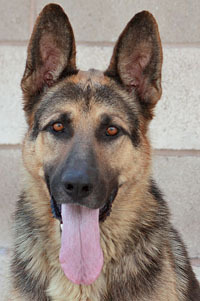 Lucky von Luckenwalde is a gorgeous 1-2 year old German Shepherd. 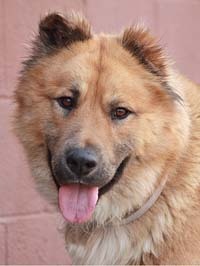 Moose von Moosburg is a stunning 2 year old German Shepherd/Chow mix. 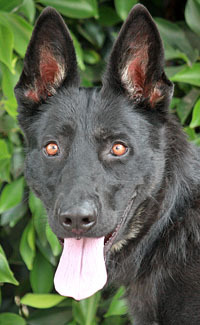 Lady von Schmidt is a stunning 5 month old red and black German Shepherd. 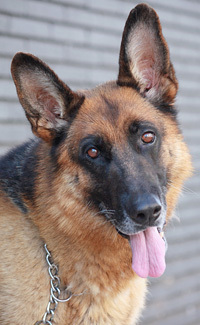 Diana von Dickel is a gorgeous 5 year old German Shepherd. 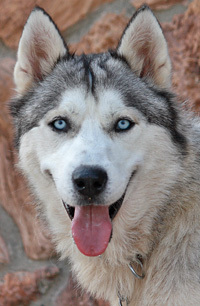 Cashmere von Celle is a gorgeous 6 month old Husky. 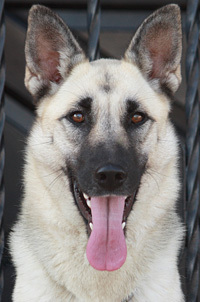 Asia von Ascha is a beautiful 7 month old German Shepherd. 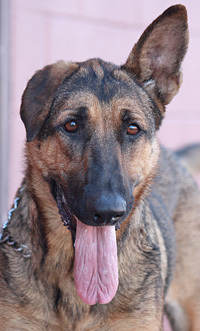 Nala von Naila is a beautiful 18 month old German Shepherd. 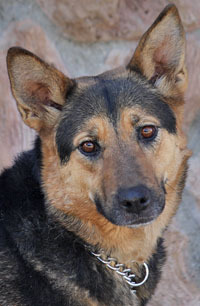 Mia von Melusina is a gorgeous 2-3 year old German Shepherd. 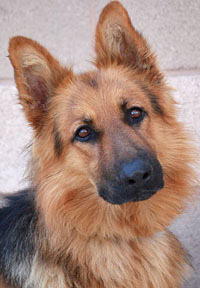 Val Von Valloby is a stunning 16 month old German Shepherd. 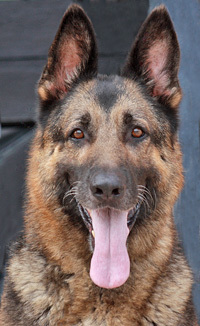 Henry Von Henriksdal is a beautiful 3 year old German Shepherd. 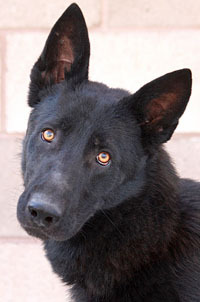 Austin Von Axiom is a gorgeous 6-7 month old German Shepherd. 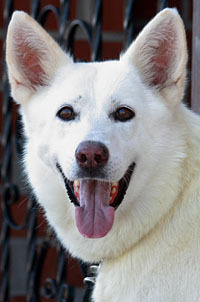 Saxon von Skye is a stunning 3-4 year old white German Shepherd. 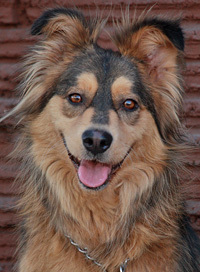 Ellie Mae von Clampett is a gorgeous 4 year old German Shepherd/Aussie mix. 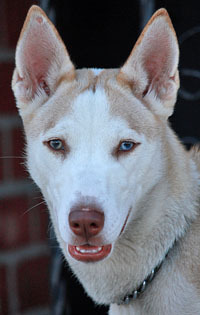 Lana von Langet is a striking looking 10 month old Husky mix. 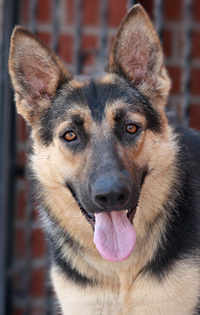 Gigi von Gaston is a stunning 12 month old German Shepherd. 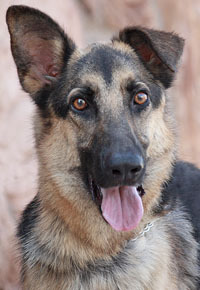 Carmen von Dorfen is a gorgeous 1-2 year old German Shepherd. 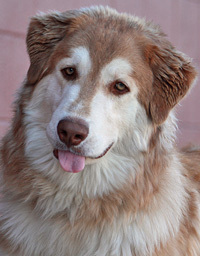 Faith von Esther is the cutest little 2-3 year old fluffy mix. 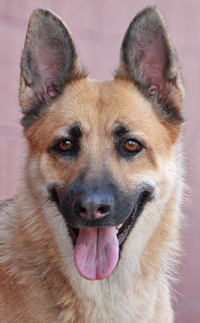 Kayla von Katryde is a beautiful 3 year old German Shepherd. 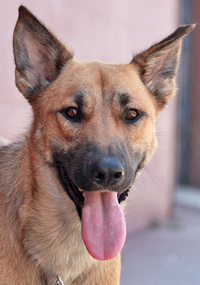 Miah von Milow is a gorgeous12 month old Shepherd mix. 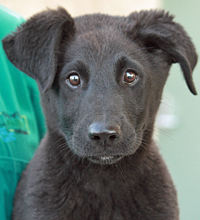 Scooby von Sim is an aadorable 3 month old Shepherd mix puppy. 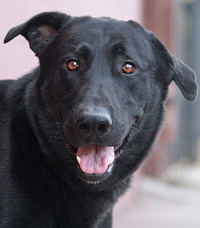 Mitchell von Mirow is a wonderful 2 year old Lab mixed with a tiny bit of shepherd. 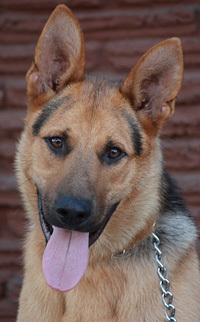 Mr. Green von Greven is a gorgeous 12-14 month old German Shepherd. 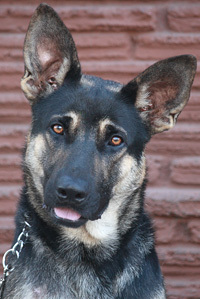 Ozzy von Oxenholm is the sweetest 10-12 month old German Shepherd. 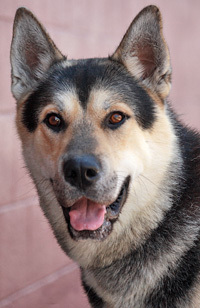 Boyd von Bavaria is a very handsome 2-3 year old Shepherd/Husky mix. 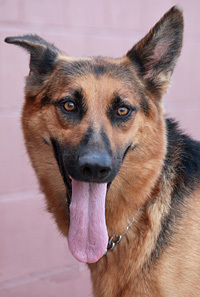 Ollie von Olivya is a gorgeous 2 year old German Shepherd. 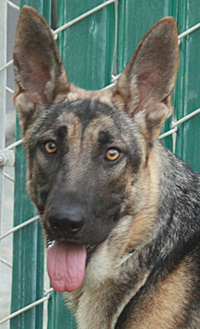 Alk von Alzey is a delightful 9-10 month old German Shepherd. 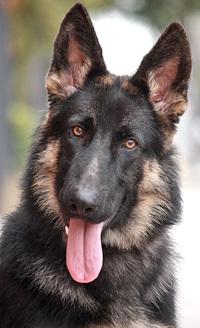 Horace von Hof is a stunning 10-11 month old German Shepherd. 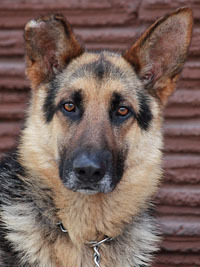 Arvin von Azberg is a very handsome 18 month old German Shepherd. 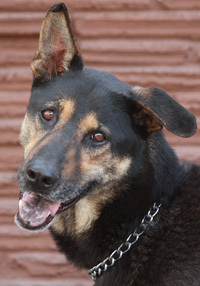 Nigel von Nejst is a very handsome 5-6 year old German Shepherd mix. 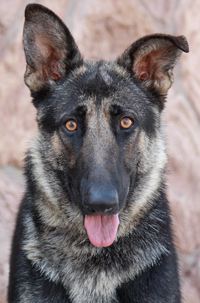 Zeek von Zastrov is a beautiful 12 month old German Shepherd. 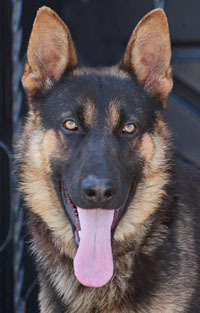 Nico von Niche is a stunning 7-8 month old German Shepherd. 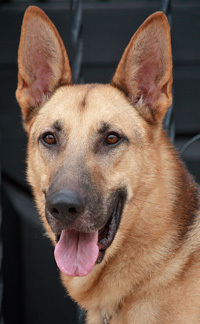 Gunner von Guben is a stunning 2 year old German Shepherd on the larger side. 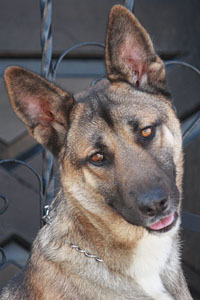 Hemi von Hausen is a stunning 14 month old Shepherd mix (male). 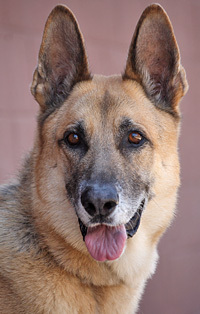 Turbo von Tutzpatz is a beautiful 7-8 year old larger sized German Shepherd. 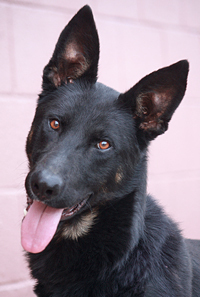 Bruce von Bertkow is an adorable 1-2 year old German Shepherd. 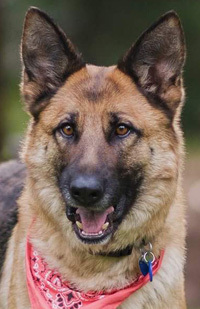 Shana von Skaaro is a stunning 3 year old German Shepherd. 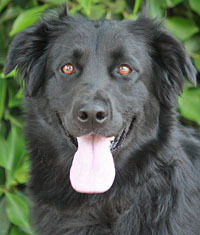 Lucy von Lich is an adorable smaller sized 1-2 year old fluffy mix of cuteness. 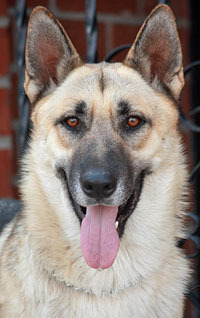 Macy von Markdoef is a stunning 2 year old German Shepherd. 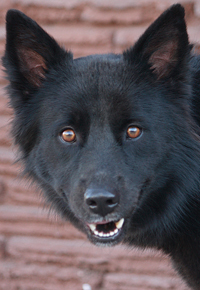 Lacy von Lahr is a beautiful 12 month old black and red German Shepherd on the smaller side. 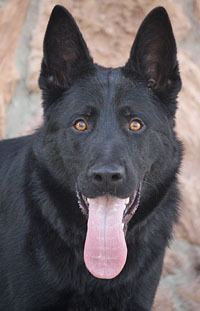 Peach von Patch is a beautiful 2 year old black sable German Shepherd. 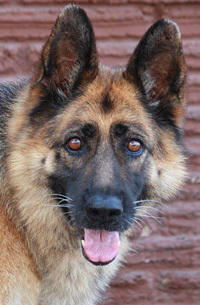 Lace von Laatzen is a gorgeous 3-4 year old German Shepherd. 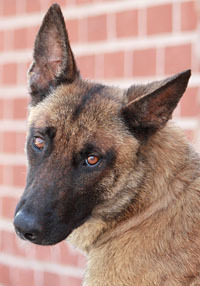 Kelsie von Kiefer is a very sweet, playful 2 year old Belgian Malinois/German Shepherd mix. 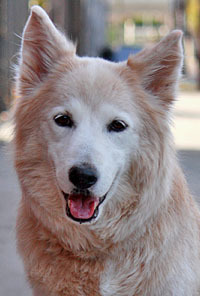 Mandy von Maibolle is a wonderful 6-7 year old Retriever/Husky mix. 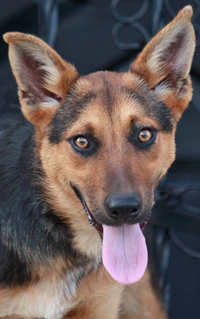 Norah von Nohemi is the cutest 12 month old smaller sized Shepherd mix. 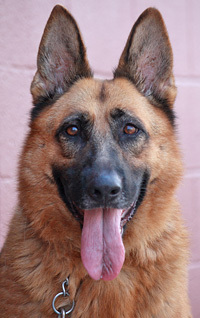 Blair von Blass is a stunning 5 year old German Shepherd. 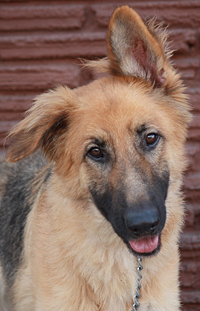 Goldie von Godelen is an adorable 12 month old smaller sized German Shepherd. 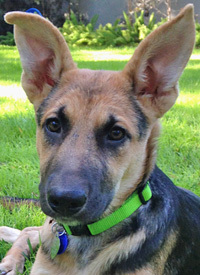 Hannes von Haast is an adorable 12 week old Shepherd mix puppy. 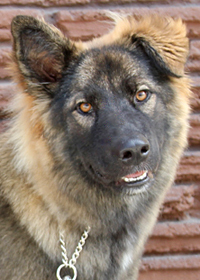 Sonic von Solsbak is a stunning 10 month old sable German Shepherd. 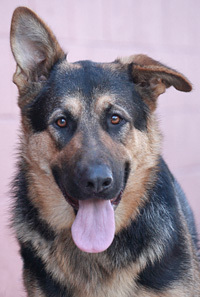 Nero von Nees is a gorgeous 2 year old German Shepherd. 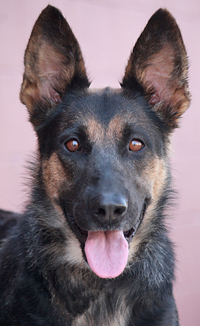 Shera von Sherrebek is a beautiful 1-2 year old German Shepherd. 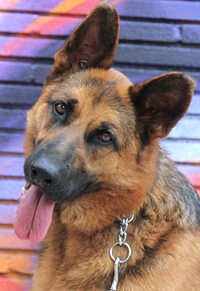 Benji von Bakers is a stunning 2 year old German Shepherd. 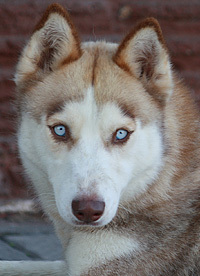 Loki von Loitz is a stunning 2 year old Husky. 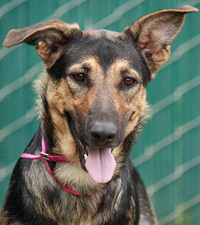 Pickles von Pikkelgrund is a beautiful 12 month old German Shepherd mix. 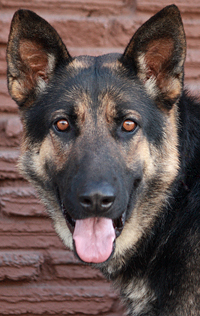 Maggie von Mollin is a beautiful 16 month old German Shepherd. 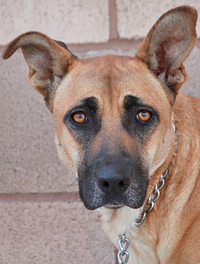 Clarrisa von Clea is a gorgeous 10 month old Shepherd mix. 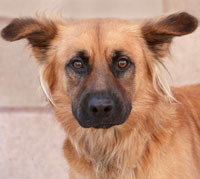 Jaylinn von Jacey is a very sweet 2-3 year old Shepherd mix. 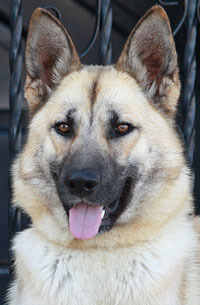 Kolton von Kail is a beautiful 3 year old smaller sized German Shepherd. 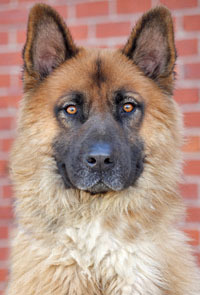 Otto von Ottweiler is a striking looking 3 year old German Shepherd. 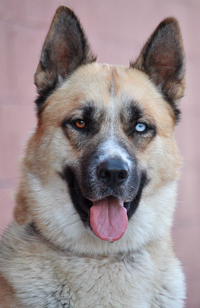 Casper Von Caron is a gorgeous 2 year old Geman Shepherd/Husky mix..
Krush von Kusel is a beautiful 8-9 month old German Shepherd. 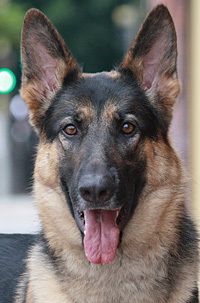 Granger von Gransee is a stunning 18 month old German Shepherd. 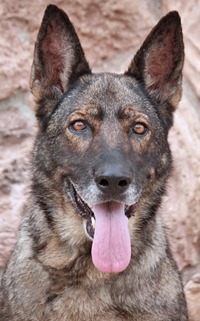 Sargento von Salzkotten is a beautiful 6 year old German Shepherd. 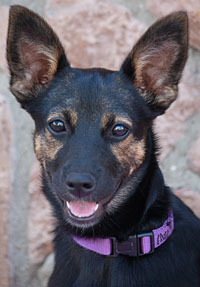 Winnie von Winola is a delightful 12 week old Shepherd mix puppy. 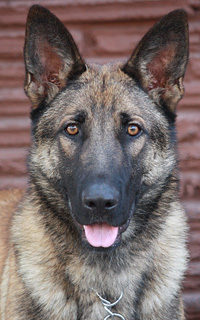 Maxim von Marburg is the most stunning 18 month old larger sized German Shepherd. 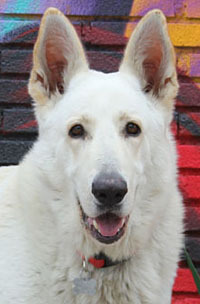 Luna-Alice von Alzenau is a stunning 2 year old German Shepherd. 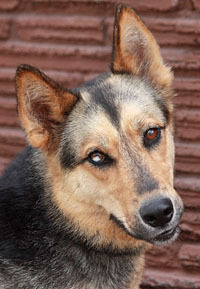 Polly von Polch is the sweetest 18 month old German Shepherd with a bit of Lab thrown in. 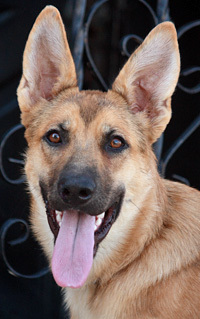 Eva von Elyse is the cutest 10-11 month old smaller sized Shepherd mix. 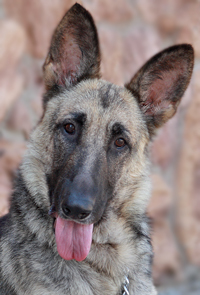 Fancy von Freital is a stunning 12 month old German Shepherd. 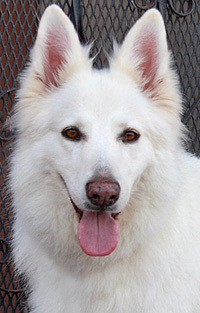 Chrissy von Crivitz is a stunning 3-4 year old long haired white German Shepherd. 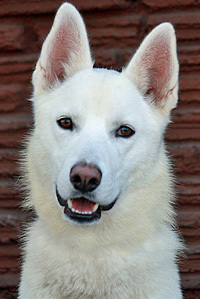 Neeka Von Neetzow is a 16 month old Nordic breed beauty. No small dogs or cats! 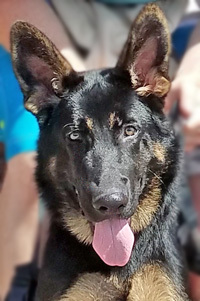 Roger von Rehau is an adorable 4 month old German Shepherd puppy. 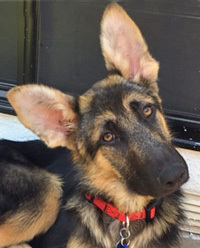 Jasper von Kiel is a delightful 4.5 month old German Shepherd puppy. 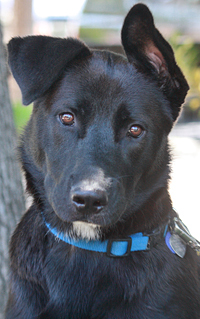 Charlie von Chres is a beautiful 8 month old Retriever mix. 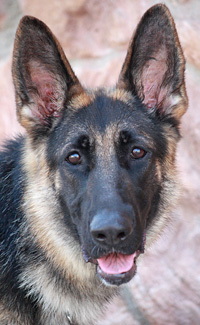 Arlo von Aalen is a beautiful 6 month old German Shepherd. 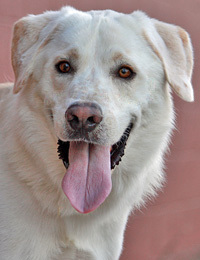 Moon von Merzig is a very handsome 2 year old Lab mix. 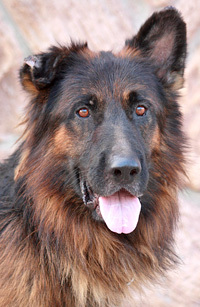 Sergio von Sem is a stunning 4-5 year old German Shepherd. 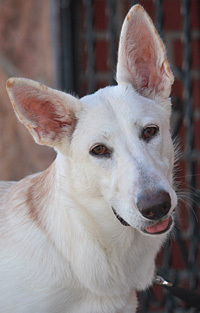 Suze von Suche is a delightful 6-7 month old German Shepherd. 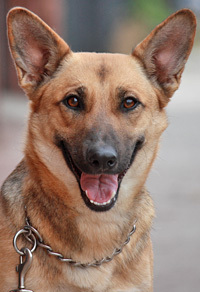 Princess von Pegau is the cutest 1-2 year old smaller sized Shepherd mix. 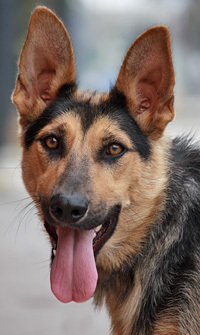 Laika von Lage is a gorgeous 20 month old German Shepherd. 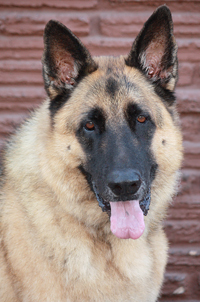 Juno von Juist is a beautiful, larger sized 7 year old German Shepherd. Lived with cats and kids! 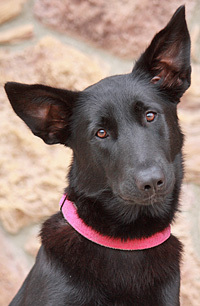 Ebony von Elvira is a stunning 10 month old German Shepherd. 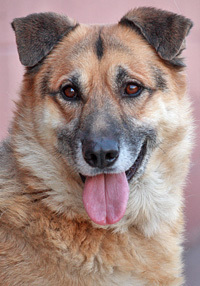 Sara von Susan is a wonderful 3-4 year old Shepherd mix on the smaller side. 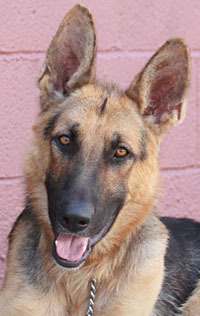 Romy von Romrod is a gorgeous 10-12 month old German Shepherd. 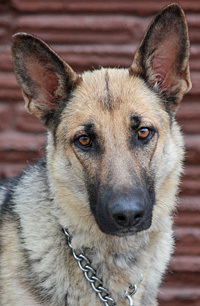 Gina von Genf is a beautiful 12 month old German Shepherd. 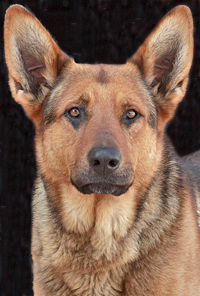 Levi von Leute is a gorgeous 18 month old German Shepherd. 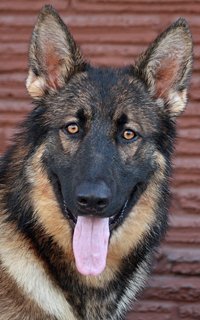 Sheldon Von Setzer is a stunning 6 month old German Shepherd. 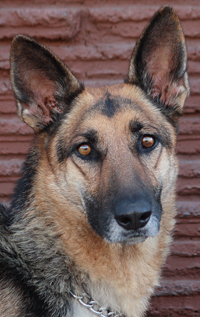 Dinah von Dingen is a beautiful 2 year old German Shepherd. 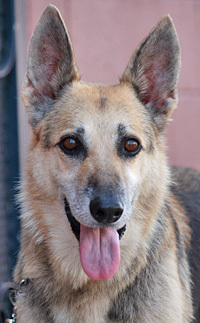 Felicity von Felsberg is a beautiful 6-7 year old German Shepherd with the most adorable face and ears! 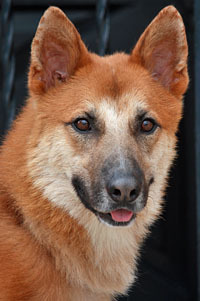 Lucky von Luyde is a delightful 2 year old Shepherd mix. 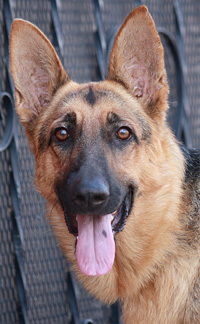 Tessa von Themar is a gorgeous 3-4 year old German Shepherd. 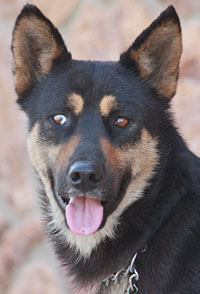 Roxy von Ruthen is a beautiful 2 year old smaller sized Shepherd mix with a bit of blue in her eye. 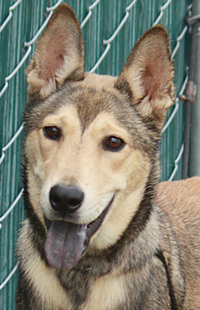 Kenzie von Kentzlin is a wonderful 7-8 month old Shepherd mix. 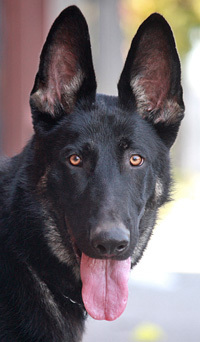 Bogey von Knochen is a striking looking 11-12 month old black sable German Shepherd. 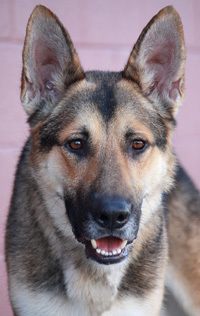 Cane von Calvorde is a very handsome 3 year old German Shepherd. 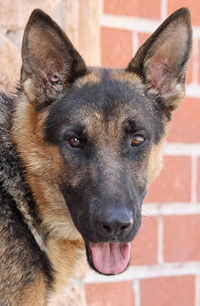 Dieter Von Diernas is a delightful 12 month old German Shepherd. 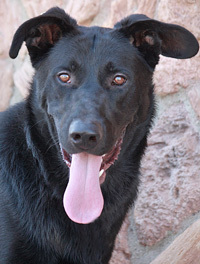 Ranger von Arnold is a stunning 12 month old German Shepherd/Lab mix. 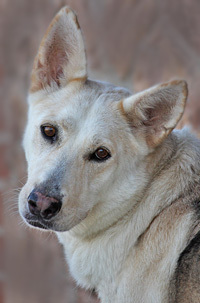 Tundra von Trude is a beautiful 1-2 year old Shepherd mix. 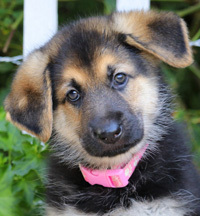 Alma von Misty is the cutest 10 week old German Shepherd puppy. 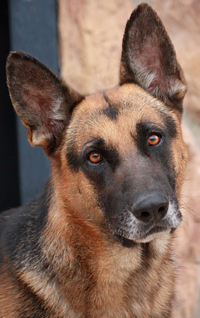 2 year old German Shepherd. 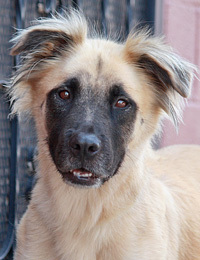 Ruth von Slonina is an adorable 12 month old Panda Shepherd mix. 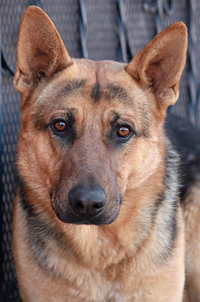 Annaka von Ansbach is a stunning 2 year old German Shepherd. 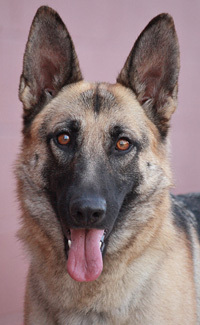 Cheyenne von Cimbria is a beautiful 2 year old German Shepherd. 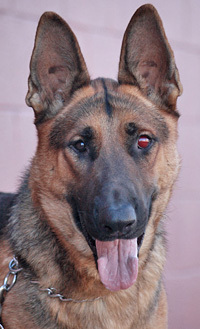 Paris von Penzer is a goreous 12 month old German Shepherd. 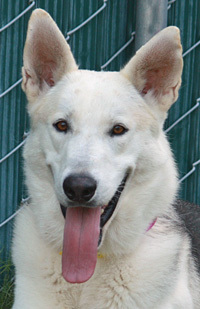 Olivia von Olling is a gorgeous 9-10 month old German Shepherd with maybe a touch of Husky. 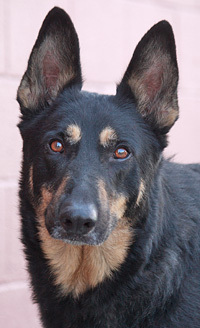 Dakota von Colb is a gorgeous 5 year old German Shepherd. 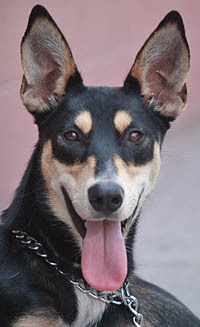 Vicky von Varburg is a delightful 11-12 month old Shepherd mix. 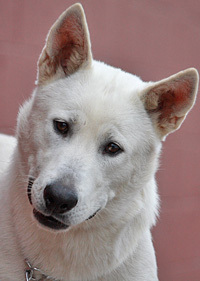 Loves kids and adults, all dogs, even tested well with cats! 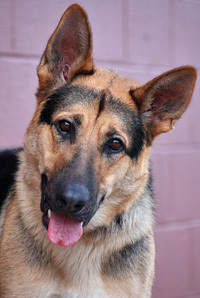 Nikita von Nora is an adorable 2 year old German Shepherd. 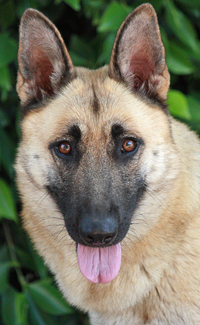 Lola von Lippstadt is a stunning 2-3 year old German Shephed. 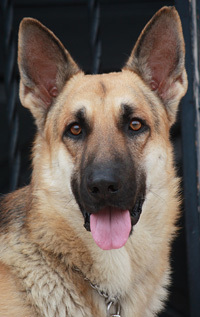 Cheyo von Citadellet is a beautiful 3 year old German Shepherd. 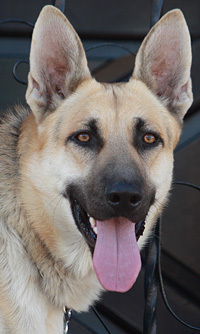 Gustaf von Gusterath is a stunning, big boned 9-10 month old sable German Shepherd. 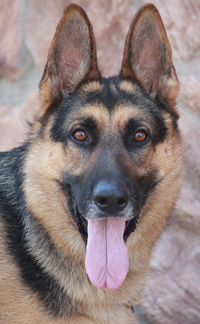 Maximus von Marxzell is a beautiful 18 month old German Shepherd. 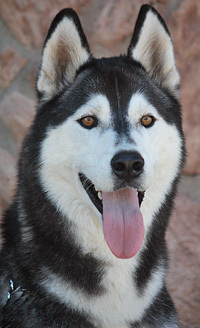 Roy von Lollar is a stunning 4 year old Husky. 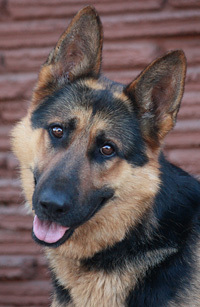 Rush von Russingen is the sweetest 12 month old German Shepherd. 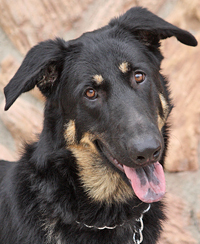 Zeppo von Passau is a beautiful 16 month old German shepherd. 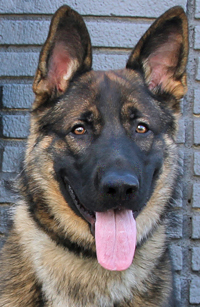 Max von Masthorn is a stunning 5-6 month old German Shepherd puppy. 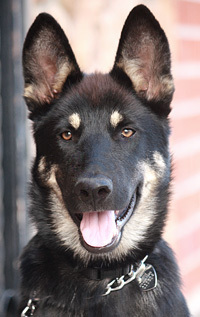 Milo von Mistorf is a stunning 8 month old German Shepherd. 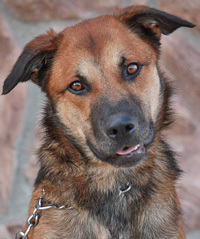 Noah von Norden is a very handsome 16 month old Shepherd mix. 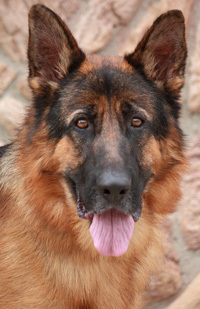 Otto von Otterfing is a very handsome 2 year old German Shepherd. 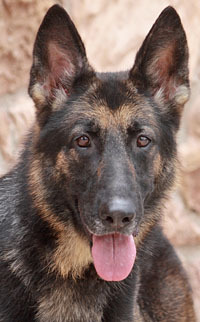 General von Genannt is a stunning 3-4 year old German Shepherd. 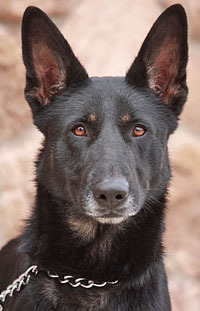 Casey von Colditz is a stunning 2 year old black and red German Shepherd. 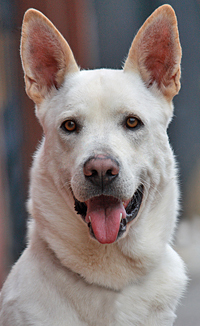 Marty von Mareskov is a beautiful 12 month old German Shepherd mix. 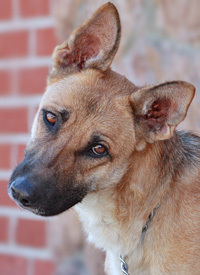 Sissi von Sisserode is an adorable 18 month old Shepherd mix on the smaller side. 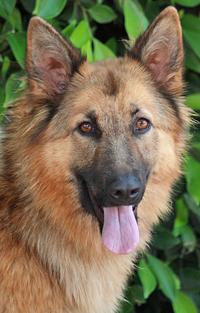 Anaka von Ankum is a stunning 3 year old sable German Shepherd. 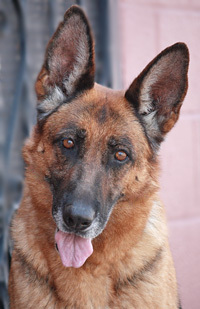 Cindy von Constance is a beautiful 5-6 year old red and black German Shepherd. 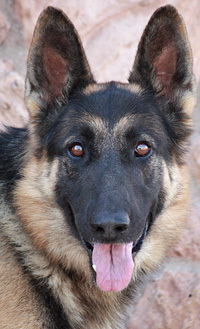 Leia von Leidefelde is a beautiful 18 month old German Shepherd. 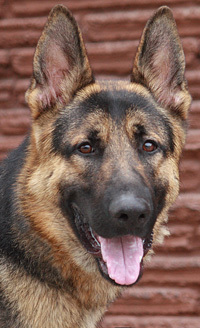 Thornton von Thoreby is a wonderful and handsome 18 month old German Shepherd. 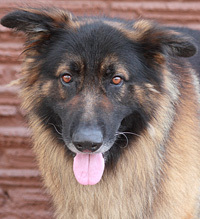 Lucas von Lunde is a gorgeous 2 year old sable German Shepherd. 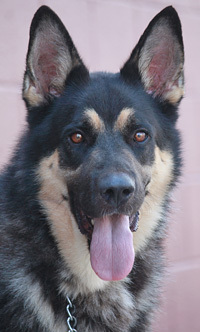 Guinness von Gusten is a very handsome 2-3 year old German Shepherd. 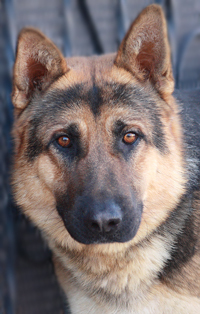 Ace von Arnis is a stunning 2 year old German Shepherd. 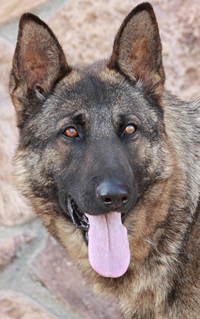 Tzar von Tann is a stunning 2-3 year old German Shepherd. 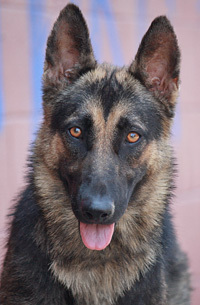 Shayne von Syke is a striking looking 2-3 year old German Shepherd. 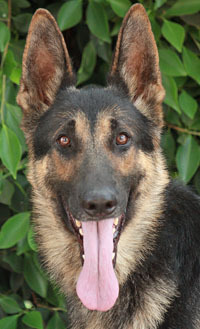 Adonis von Adorf is a beautiful 12 month old German Shepherd. 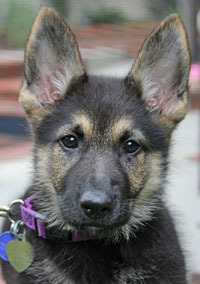 Alexis von Misty is a gorgeous 8 week old German Shepherd puppy. 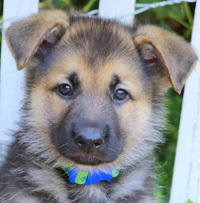 Gio von Misty is a gorgeous 8 week old German Shepherd puppy. 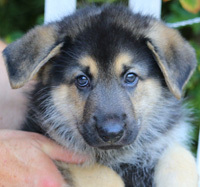 Edwin von Misty is a gorgeous 8 week old German Shepherd puppy. 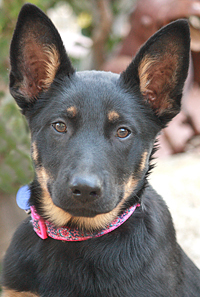 Lane von Misty is a gorgeous 8 week old German Shepherd puppy. 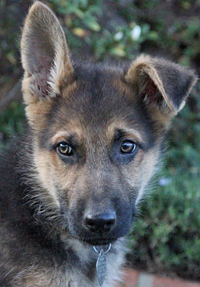 Parker von Misty is a gorgeous 8 week old German Shepherd puppy. 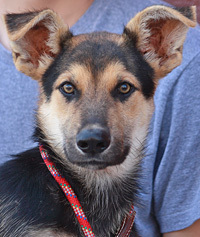 Bruno Von Brovst is a delightful 4-5 month old Shepherd mix puppy. 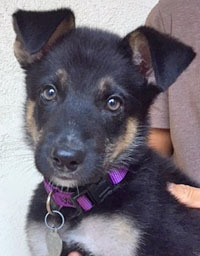 Skye von Codova is a delightful 12-13 week old German Shepherd mix puppy. 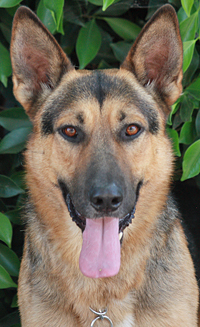 Molly von Moybol is a beautiful 2 year old German Shepherd on the smaller side. 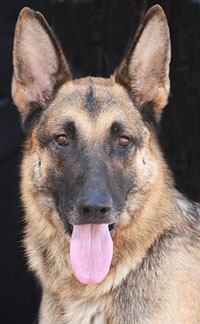 Adoline von Anzing is a beautiful 2 year old German Shepherd. 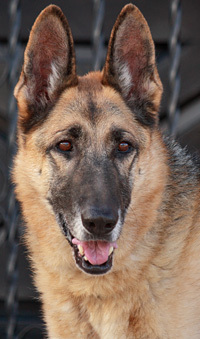 Shasta von Salzen is a beautiful 8-9 year old German Shepherd. 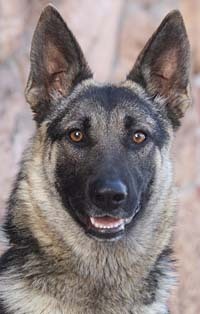 Willow von Mulffs is a beautiful 10 month old German Shepherd. 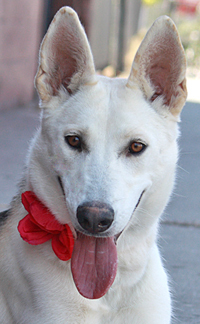 Flora von Flower is a beautiful 8-9 month old smaller sized Husky mix. 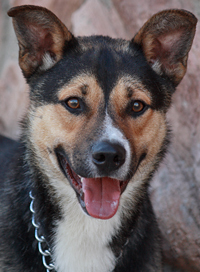 Maxford von Maxsain is a gorgeous 18 month old Shepherd/Husky mix. 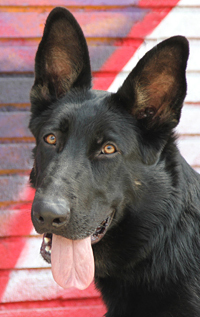 Huck von Herr is a gorgeous 12 month old German Shepherd. 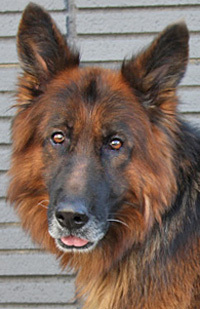 Dok von Donslund is a striking looking 5 year old black and red German Shepherd. 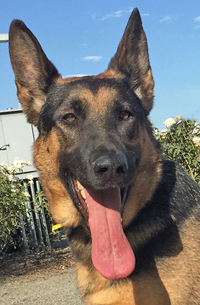 Bravo von Bavaria is a gorgeous 2 year old German Shepherd. 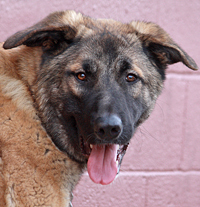 Bear von Jena is a gorgeous 16-month-old fluffy shepherd mix. 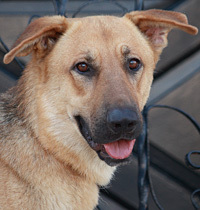 Hermes von Hersom is an amazingly sweet 12 month old Shepherd mixed with maybe lab? 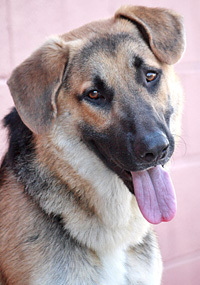 Jackson von Jerichow is a beautiful 1-2 year old German Shepherd. 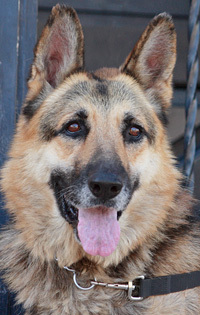 Sammy von Salzkotten is a gorgeous 4-5 year old German Shepherd. 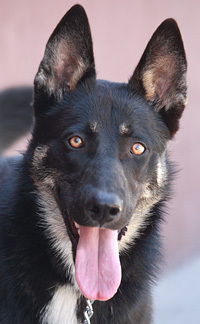 Hunter von Huttingen is a stunning 6 month old bi-color German Shepherd. 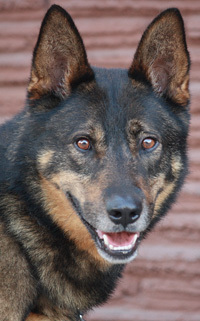 Rocko von Rochau is a beautiful 4 year old red and black long haired German Shepherd. 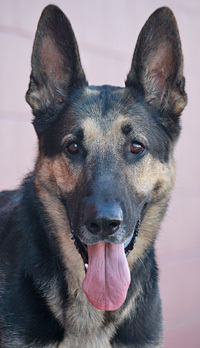 JR von Jerrishoe is a very handsome 5 year old German Shepherd. 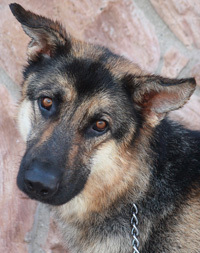 Nebraska Von Nieh is a gorgeous 2 year old German Shepherd. 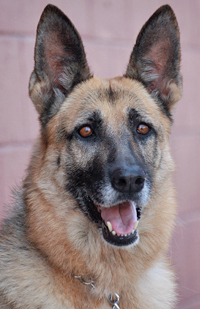 Gracie von Goslar is the most amazingly sweet 5-6 year old German Shepherd. 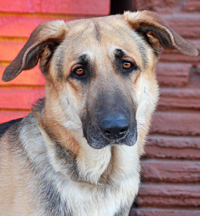 Lived with cats, good with all size dogs! 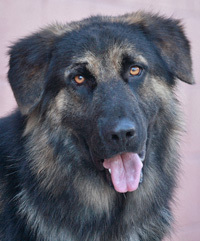 Autumn von Aue is a gorgeous 1-2 year old long haired German Shepherd. 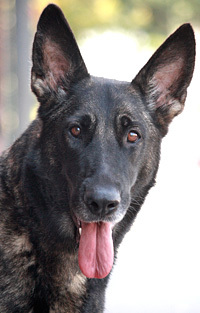 Bellz von Bejstrup is a beautiful 5-6 year old black sable German Shepherd. 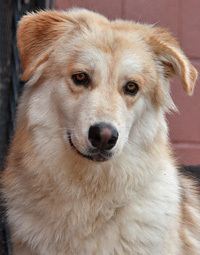 Sally Von Saltvig is a beautiful 12 month old Collie mix. 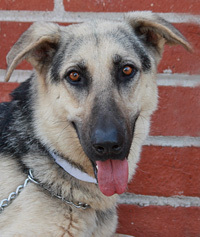 Holly von Hof is a beautiful 1-2 year old German Shepherd. OK for out of state. 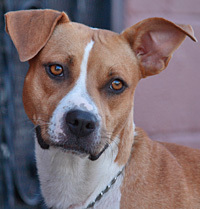 Mabel von Lovskal is the cutest 12 month old little mix of possibly Boxer and some other adorable breeds. 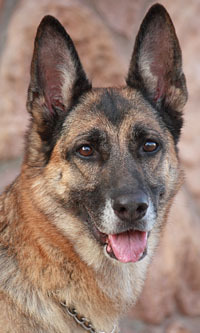 Sophie von Sofiedol is a gorgeous 6 year old sable German Shepherd imported from Germany. 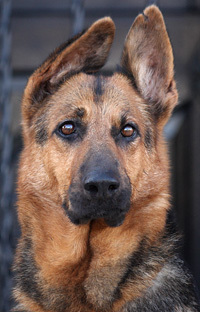 Heidi von Findlerhof is a gorgeous 2 year old German Shepherd. 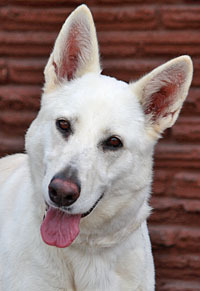 Avery von Aurich is a gorgeous 2-3 year old German Shepherd. 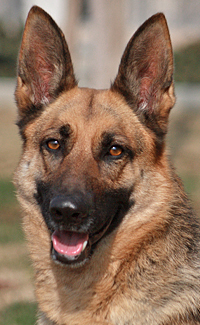 Gia von Gladenbach is a stunning 4 year old German Shepherd. 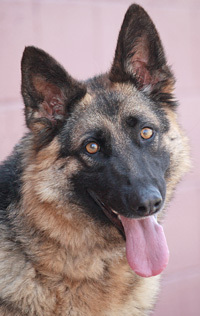 Adele von Adelsdorf is a gorgeous 2 year old German Shepherd. 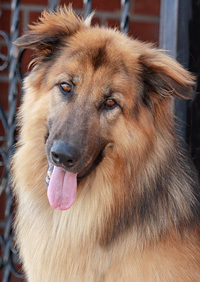 Grizzly von grimmen is a wonderful 2 year old long haired German Shepherd. Lived with cats! 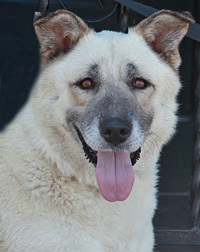 Good with bunnies! 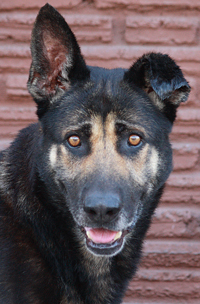 Major von Maital is a gorgeous 2 year old German Shepherd mix. 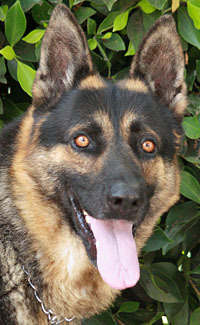 Franz von Findlerhof is a gorgeous XLarge 3-4 year old German Shepherd. 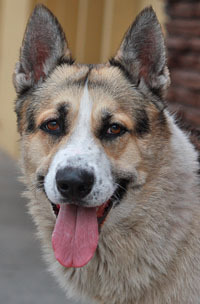 Cisco von Cedeln is a stunning 3 year old German Shepherd with maybe a touch of Husky or Malamute. 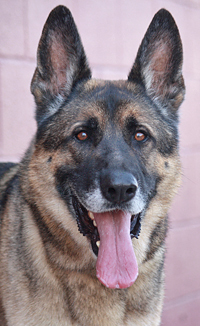 Rico von Richtenberg is a beautiful 3-4 year old German Shepherd. 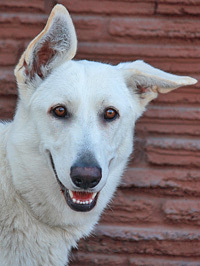 Nina von Faith is a stunning 7 month old White German Shepherd. 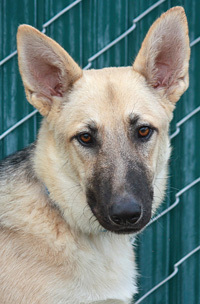 Freida von Freisen is a delightful 7-8 month old German Shepherd. 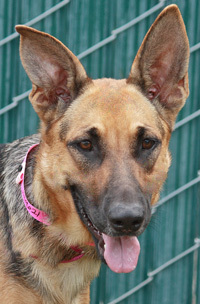 Sonia von Schwelm is a delightfully sweet 7-8 month old German Shepherd. 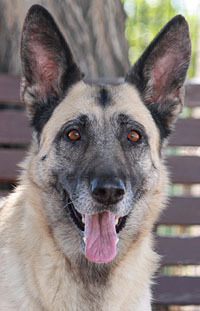 Verona von Versmold is an incredibly sweet 6-7 year old German Shepherd. 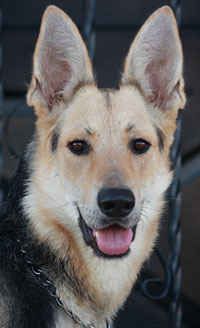 Emmie von Emerson is an adorable 12 month old German Shepherd on the smaller side. 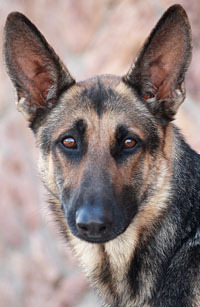 Margie von Mantel is a beautiful 12 month old smaller sized German Shepherd. 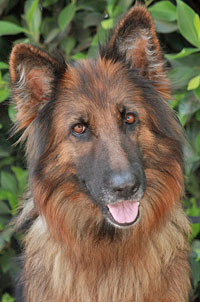 Nyra von Niemegk is a stunning 5 year old long haired German Shepherd. 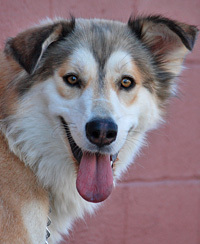 Tucker aka Marz von Teiler is a delightful, happy and friendly 3 year old Husky mix fluff ball. 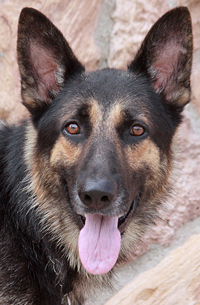 Wolfgang von Machern is a gorgeous 1-2 year old German Shepherd. 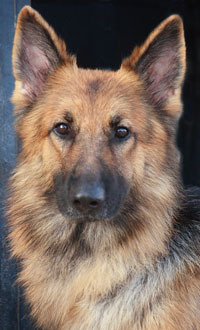 Charlie von Chursdor is a stunning 10 month old German Shepherd. 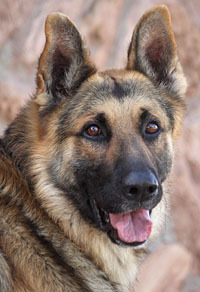 Dominic von Dombuhl is a beautiful 2 year old German Shepherd. 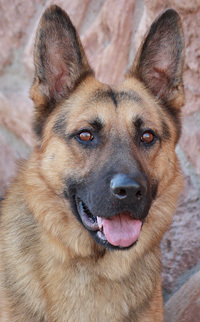 Gunther von Gunzburg is a beautiful 3 year old, smaller sized German Shepherd. 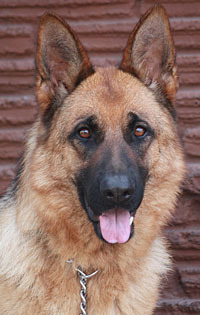 Floyd von Florstadt is a stunning 2 year old German Shepherd. 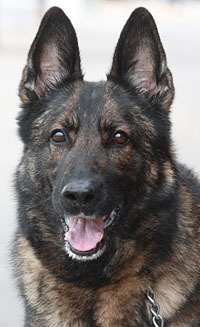 Elliot von Ellweiler is a beautiful 6 year old German Shepherd. 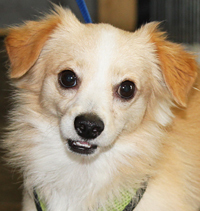 Sir von Hoover is the most adorable 1-2 year old little Chihuahua mixed with something fluffy. 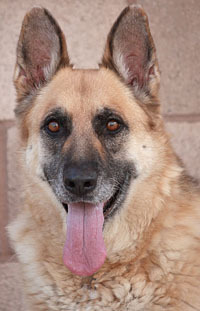 Lulu Von Lulsfeld is a beautiful 6-7 year old German Shepherd. 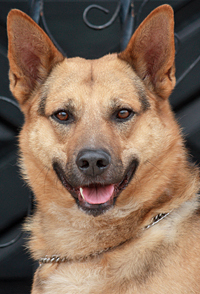 Truman von Trulben is a very handsome and sweet 2 year old Shepherd mix on the smaller side. 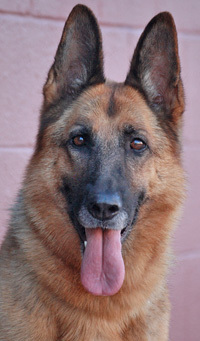 Lucy von Ludorf is a wonderful 5 year old German Shepherd. 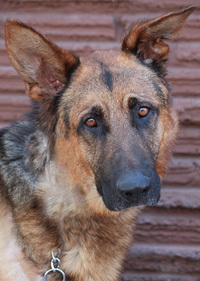 Remy von Reto is a beautiful and shy 14 month old German Shepherd. 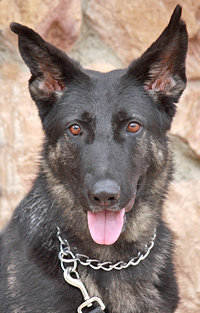 Greta von Gresser is a beautiful 10-11 month old German Shepherd. 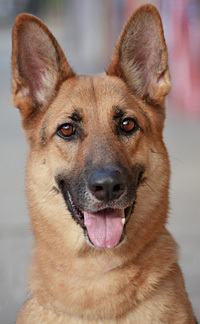 Bonnie von Boock is a wonderful 2 year old German Shepherd. 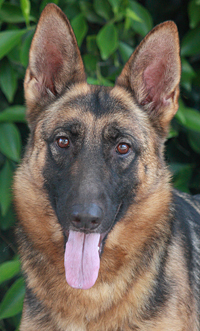 Phoebe von Pfofeld is a beautiful 10 month old German Shepherd. 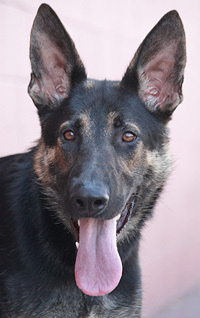 Bristol von Berlin is a beautiful 12-14 month old German Shepherd. 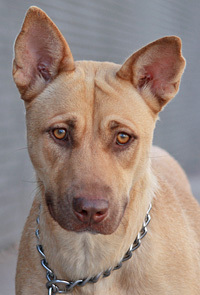 Cookie von Clein is the cutest, smaller sized 10 month old Shepherd mix. 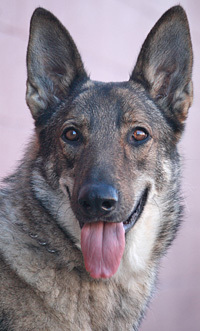 Toffy von Tonisvorst is a beautiful 4-5 year old sable German Shepherd mix. 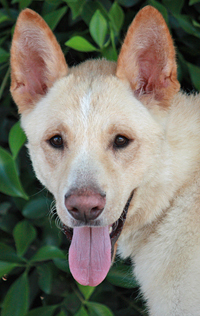 Ross von Rossau is an adorable 1-2 year old Shepherd mix. 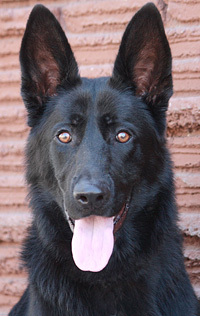 Ares von Arft is a gorgeous 14 month old German Shepherd. 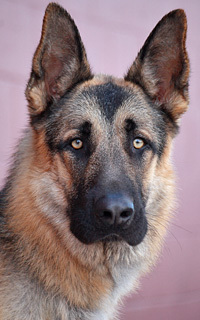 Benjamin von Berkley is a stunning 18 month old coated German Shepherd. 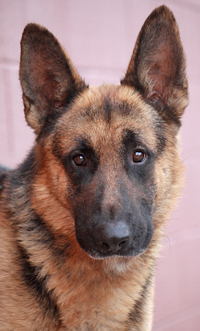 Drew von Dorf is an amazingly sweet 8-9 month old German Shepherd. 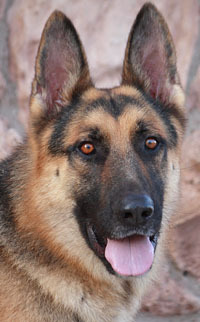 Nelson von Nellingen is the sweetest 18 month old German Shepherd. 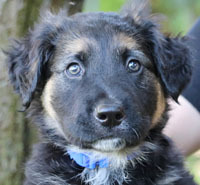 Vinnie von Vennington is an adorable 8 week old shepherd MIX puppy. 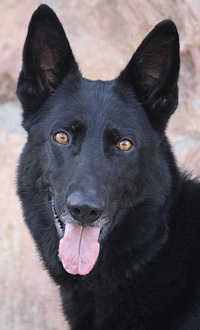 Joyce von Jorl is a stunning 3-4 year old black and red German Shepherd. 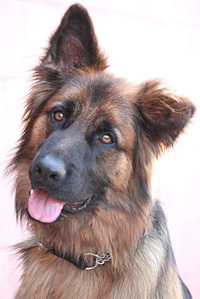 Harley von Harsewinkel is a gorgeous 14 month old German Shepherd. 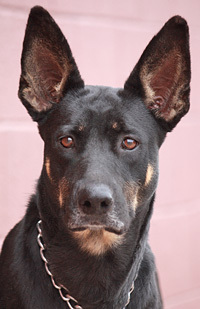 Hetty von Holzbaum is the sweetest 16 month old Shepherd mixed with maybe some Boxer. 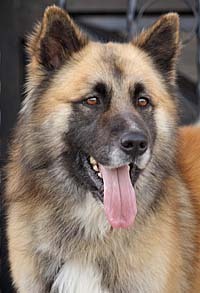 Kiku vonb Kirchbarkau is a beautiful 2 year old German Shepherd. 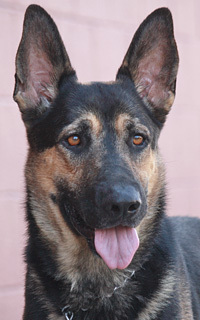 Peyton von Peitz is a gorgeous 2-3 year old German Shepherd. 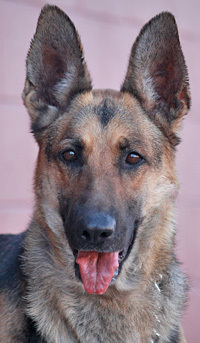 Durango von Durah is a stunning 1-2 year old German Shepherd. 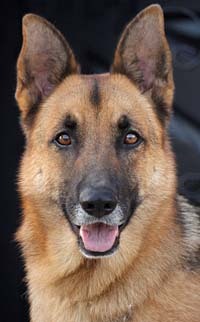 Nalu von Nurnberg is a very handsome 5-6 year old German Shepherd. 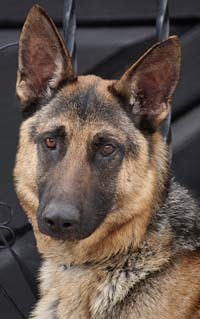 Maxim Von Maxdorf is a beautiful 12 month old German Shepherd. 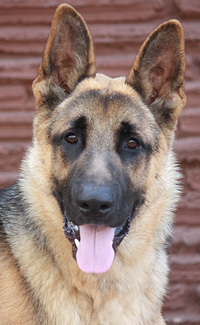 Oscar Von Osterby is a delightful 14 month old larger sized German Shepherd. 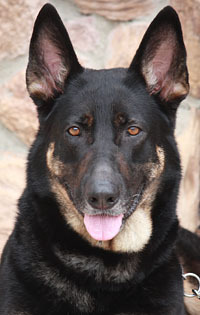 Bailey von Bichel is a stunning 2 year old black and red German Shepherd. 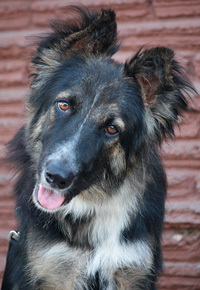 Moritz von Murtz is a delightful 11-12 month old German Shepherd. 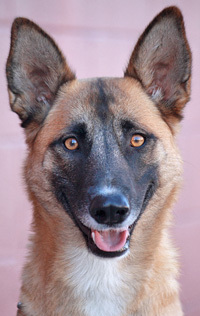 Irie von Ingeleben is the SWEETEST 2 year old Belgian Malinois (mix?) 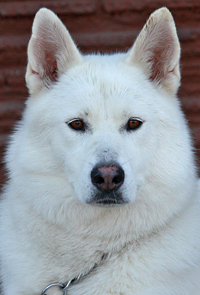 you will meet. 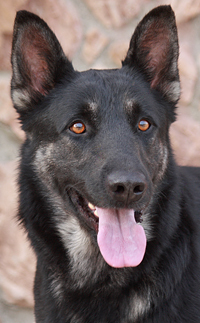 Lara von Laar is a stunning 3-4 year old black and red German Shepherd on the smaller side. 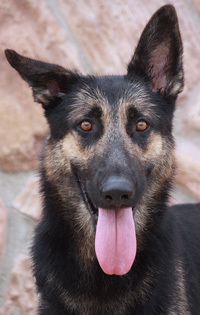 Virginia von Viersen is a beautiful 1-2 year old German Shepherd. 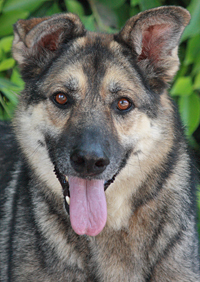 Daisy von Dessau is a stunning 3 year old German Shepherd. 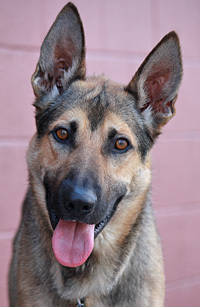 Tori von Tonnig is a beautiful 2 year old German Shepherd. 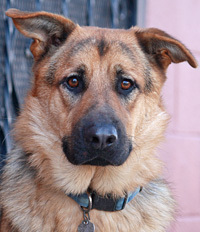 Harry von Henderson is a very handsome 2-3 year old German Shepherd. 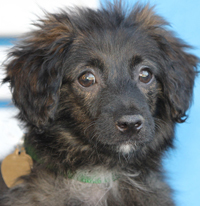 Rocky von Rottweil is a very sweet 10-11 month old smaller sized mix of Heinz 57 cuteness. 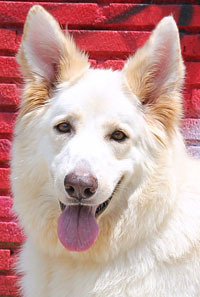 Odie von Odderade is a delightful 12 month old coated German Shepherd. 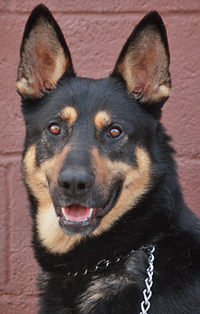 Cash von Calbe is an adorable 3 year old German Shepherd. 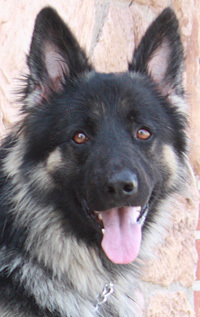 Horst von Himmel is a delightful 14 month old German Shepherd. 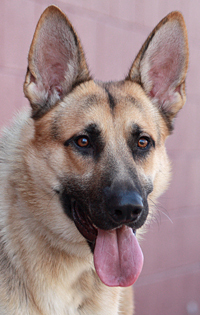 Bo von Jangles is a beautiful 18 month old German Shepherd. 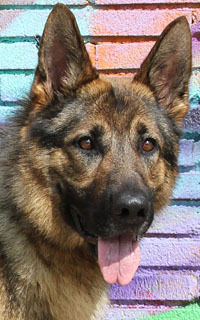 Alphonse von Altfeld is a gorgeous 2 year old German Shepherd. 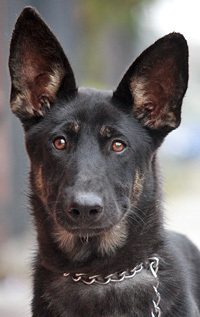 Dizzy von Divitz is a delightful 4 month old German Shepherd puppy. 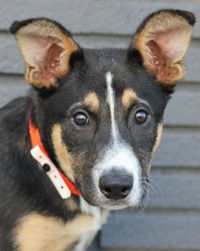 Taffy von Bon Bon is the most delightful 5 month old Shepherd mix puppy. 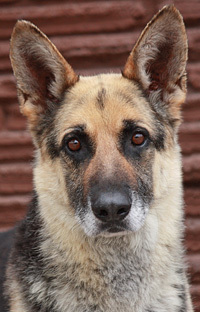 Misha von Munich is an incedibly sweet 6 year old German Shepherd. 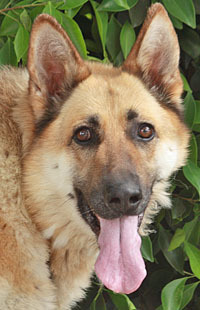 Demmie von Damme is a gorgeous 5 year old German Shepherd. 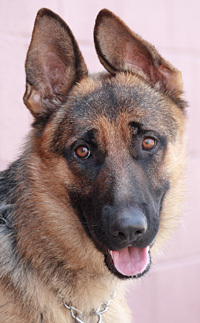 Hudson von Husby is a wonderful 12-14 month old German Shepherd. 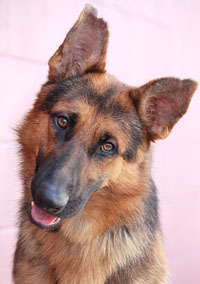 MacArthur Von Malente is a beautiful 1-2 year old German Shepherd. 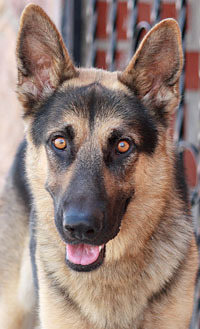 Hans von Handenfeld is a beautiful 2 year old German Shepherd. 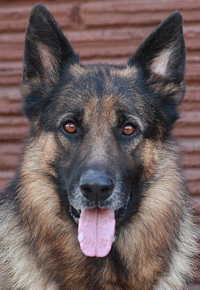 Mateo von Marburg is a wonderful 4 year old German Shepherd. 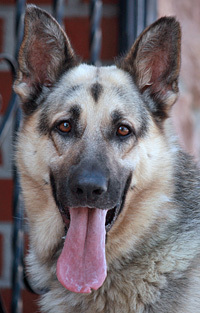 Buster von Buren is a beautiful 2 year old German Shepherd. 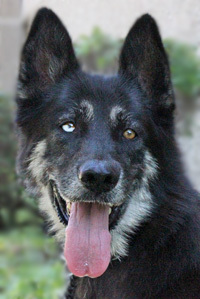 Zig von Lollar is a beautiful 3 year old German Shepherd/Husky mix. 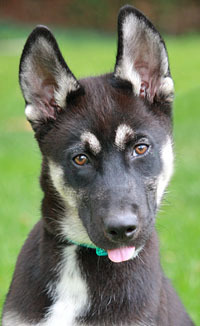 Athena von Agape is a delightful 14 week old German Shepherd/Husky mix puppy. 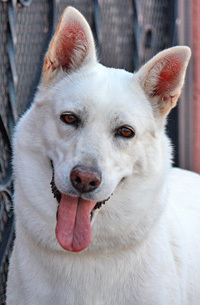 Rayna von Rauda is a stunning 3-4 year old white German Shepherd with maybe a touch of Husky. 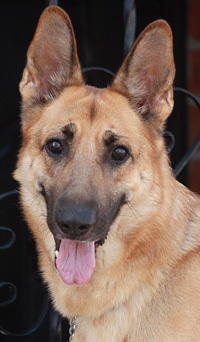 Sandy von Sassnitz is a delightful 2 year old German Shepherd. 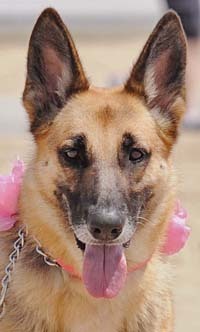 Lacey von Lachern is a gorgeous 2 year old German Shepherd. 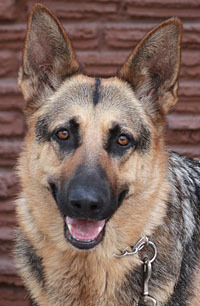 Buffy von Buchloe is a stunning 18 month old German Shepherd. 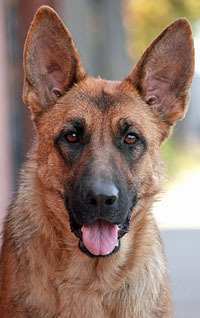 Juno von Joli is a beautiful 18 month old German Shepherd. 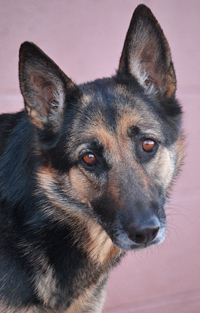 Mila von Marl is a beautiful 5 year old German Shepherd. 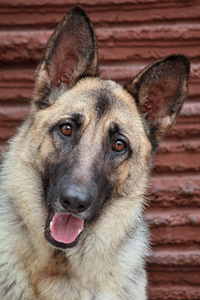 Diva von Vierling is a gorgeous 1-2 year old German Shepherd. 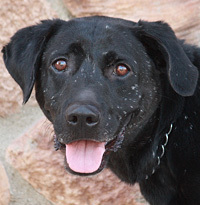 Chance Von Jungling is a wonderful 3-4 year old Lab mix on the smaller side. 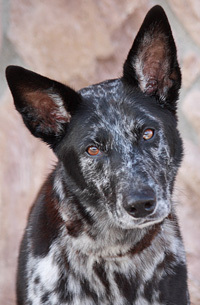 Freckle face! 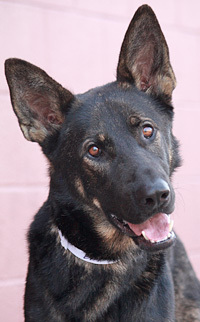 Rufus von Ruthen is an amazingly sweet 12-14 month old German Shepherd. 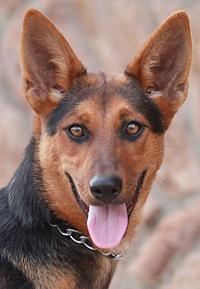 Major tail wagger! 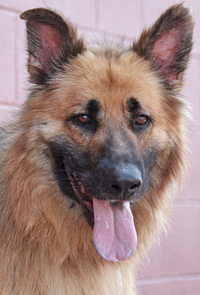 Bishop von Bissee is an incredibly handsome 4 year old German Shepherd. 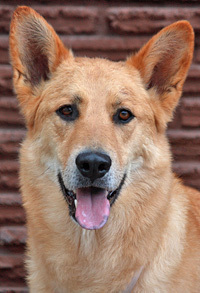 Jake von Jarmen is a gorgeous 3-4 year old Shepherd mix. 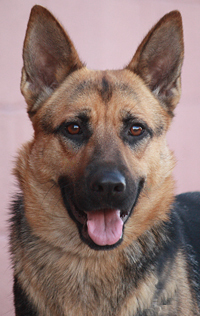 Annika von Allgau is a gorgeous 1-2 year old German Shepherd. 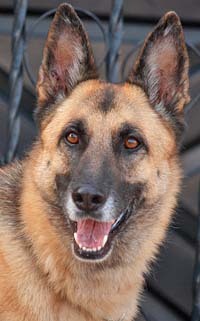 Hawley von Herzog is a beautiful 6 year old German Shepherd. 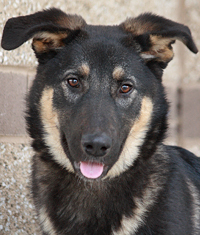 Ursa von Urschmitt is an adorable 8-9 month old German Shepherd mix. 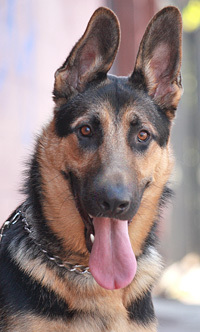 Fletcher von Felix is a very handsome 12 month old German Shepherd. 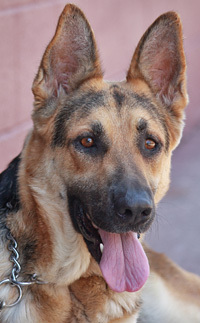 Denver von Dienstag is a gorgeous 2-3 year old German Shepherd. 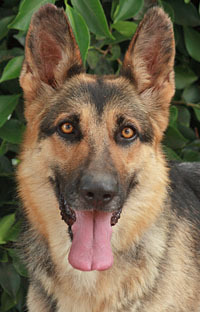 Dante von Donnerstag is a delightful 2 year old German Shepherd. 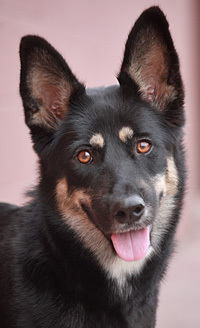 Jasper von Jennifer is a stunning 19 month old German Shepherd/Husky mix. 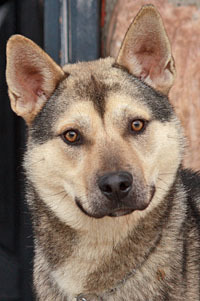 Thomas von Theobold is a delightful 12 month old smaller sized Husky mix. 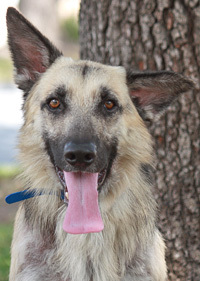 Jenkins von Jever is a very handsome 1-2 year old Shepherd mix. 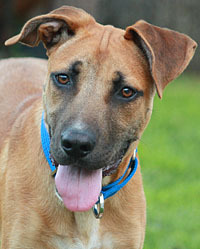 Tested well with cats, LOVES other dogs!! 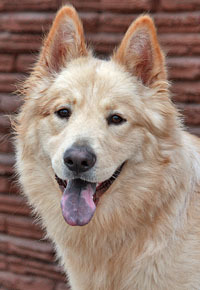 Brody von Brilon is a beautiful 2 year old Shepherd/Chow mix. 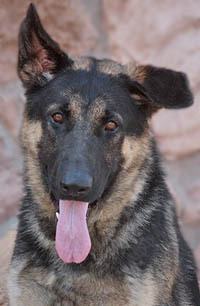 River Von Ringelai is an adorable 11-12 month old smaller sized German Shepherd. 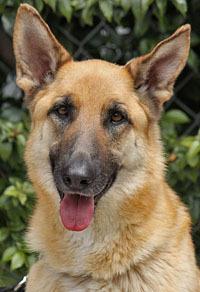 Princess Von Penig is a beautiful 3-4 year old German Shepherd. 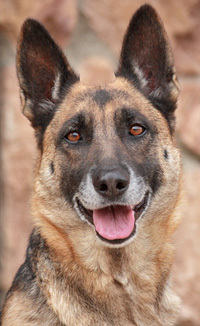 Lila Von Lennestadt is a beautiful 4 year old German Shepherd. 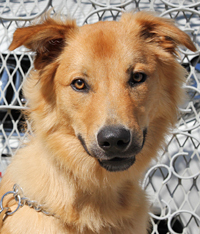 Radar von Radibar is an adorable 2 year old Shepherd mixed with something fluffy. 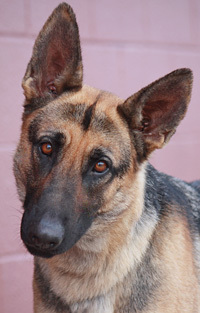 Paz von Plau is a stunning 1-2 year old German Shepherd. 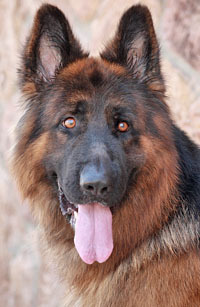 Mr Lyon von Mainz is a stunning 2 year old black and red long haired German Shepherd. 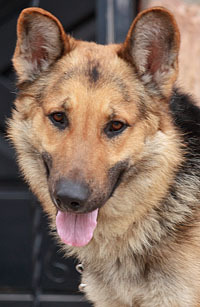 Charlie von Cuxhaven is a beautiful 1-2 year old German Shepherd. 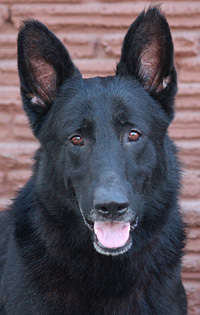 Black Jack von Blaustein is a very handsome 4 year old German Shepherd. 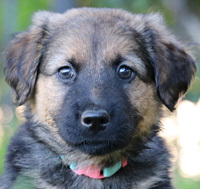 Arches von Madison is an adorable 8 week old Shepherd mix puppy. 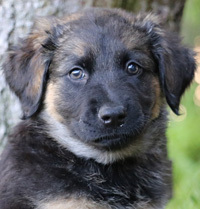 Bryce von Madison is an adorable 8 week old Shepherd mix puppy. 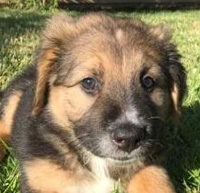 Canyon von Madison is an adorable 8 week old Shepherd mix puppy. 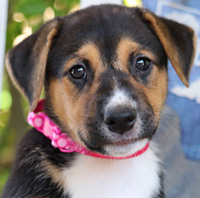 Luma von Madison is an adorable 8 week old Shepherd mix puppy. 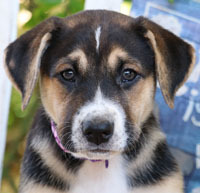 Posey von Madison is an adorable 8 week old Shepherd mix puppy. 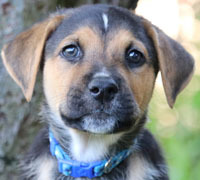 Reef von Madison is an adorable 8 week old Shepherd mix puppy. 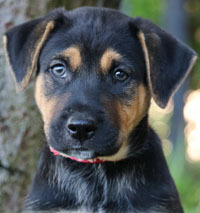 Tonka von Madison is an adorable 8 week old Shepherd mix puppy. 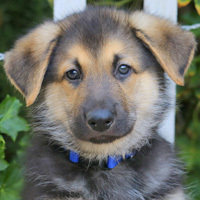 Zion von Madison is an adorable 8 week old Shepherd mix puppy. 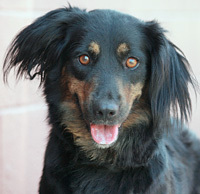 Maisie von Maasen is the most adorable 2 year old Spaniel mix. 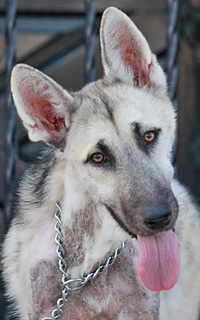 Grace von Adler is a gorgeous 7-8 month old German Shepherd. 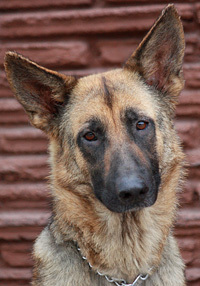 Girl von Stolpsee is a stunning 2 year old German Shepherd. 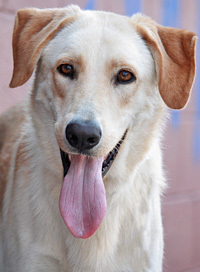 Kennedy von Retriever is a delightful 2.5 year old Retiever mix. 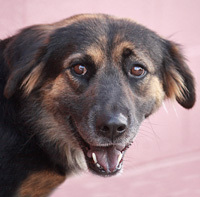 Clover von Retriever is an adorable 2.5 year old Retiever mix. 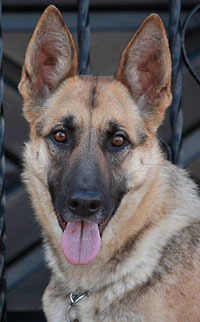 Diamond von Dieburg is a gorgeous 11-12 month old German Shepherd. 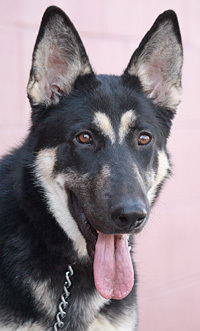 Jasmine von Aladdin is a gorgeous 8-9 month old bi color German Shepherd. 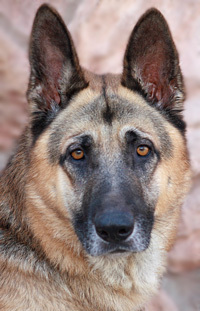 Cupcake von Cohl is a stunning 5 year old German Shepherd. 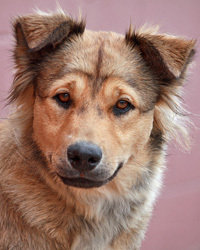 Charlie von Zeven is the cutest 7 month old Shepherd mix puppy. 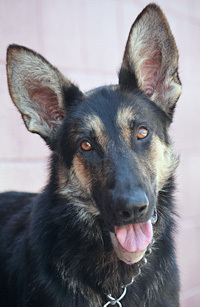 Will von Truman is a gorgeous 7-8 month old German Shepherd. 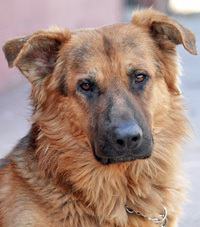 Buddy von Stolpsee is a gorgeous 2 year old German Shepherd. 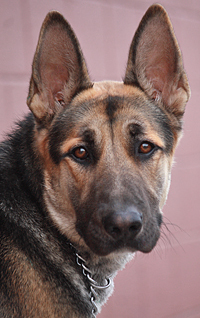 Justin von Freiheit is a gorgeous 14 month old German Shepherd. 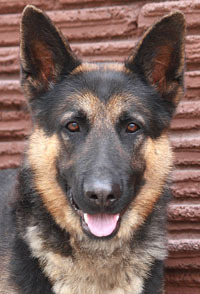 Nemo von Neuffend is a gorgeous 2-3 year old German Shepherd. 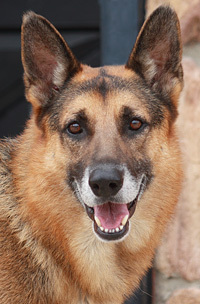 Rio von Rohr is an adorable, smaller sized 4-5 year old German Shepherd. 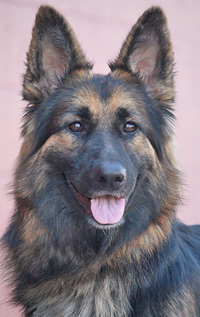 Fiona von Fincken is a stunning 3-4 year old red and black long haired German Shepherd. 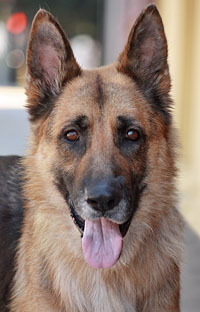 Chika von Gieben is a gorgeous 4 year old German Shepherd. 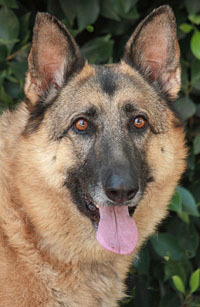 Sonoma von Samstag is a gorgeous 5-6 year old German Shepherd. 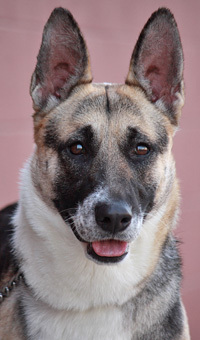 Bella Mariah Von Bopfingen is a wonderful smaller sized 18 month old Shepherd mix. 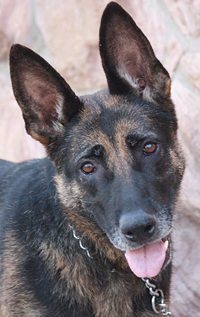 Irina von Ingulstad is a beautiful 2-3 year old German Shepherd. 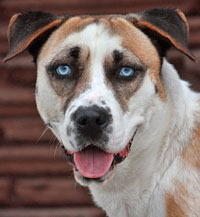 Stacy von Stade is a delightful 14 month old German Shepherd mix with a distant Husky relative and a patch of blue in the eye. 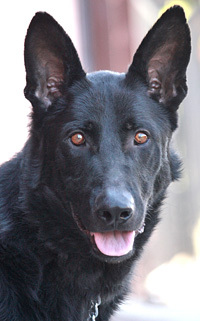 Gypsy von Gutzkow is a stunning 3-4 year old black sable German Shepherd. 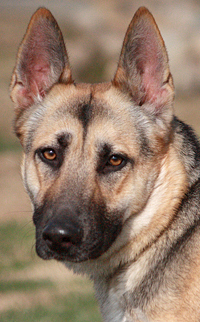 Luna von Lunen is a stunning 22 month old German Shepherd. 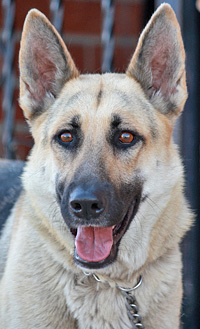 Francie von Fields is a beautiful 2 year old German Shepherd. 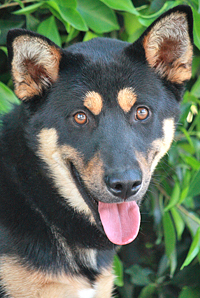 Berkeley von Benden is the sweetest little 7-8 month old Shepherd mix (male). 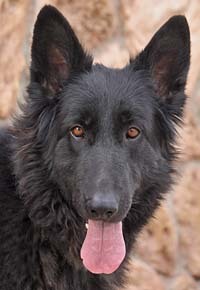 Stilton von Stimpfach is a stunning 2-3 year old sable German Shepherd. 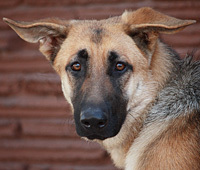 Mojo von Molln is a stunning 12-14 month old German Shepherd. 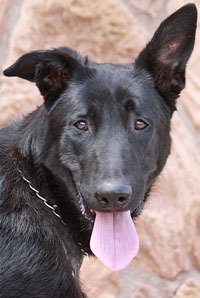 Shadow von Hagenow is a gorgeous 14 month old German Shepherd. 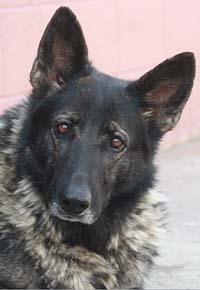 Yankee von Zeitz is the sweetest 8-9 year old German Shepherd. 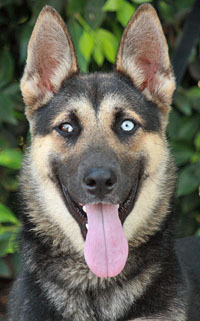 Ghost von Spease is a beautiful 10-11 month old German Shepherd. 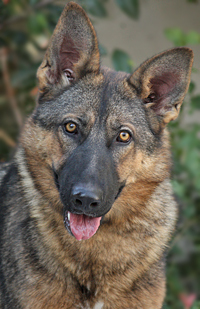 Ranger von Rastenberg is a beautiful 2 year old German Shepherd. 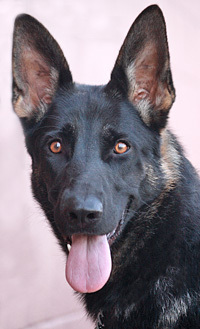 Ragna von Salerno is a stunning black and red 5 year old AKC German Shepherd. Lived with cat and small dog! 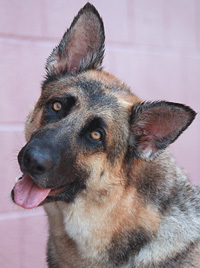 Harper von Himmel is a gorgeous 2 year old German Shepherd. 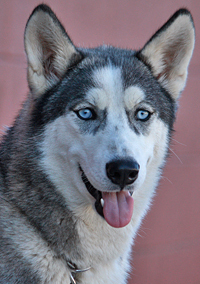 Honey von Homberg is a gorgeous 18 month old Husky. 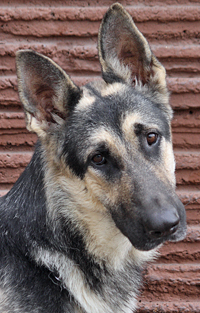 Ehre von Eartha is a gorgeous 12-14 month old German Shepherd. 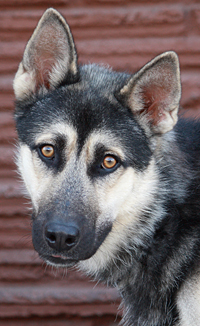 Nova von Nottuln is a gorgeous 12 month old Shepherd/Husky mix. 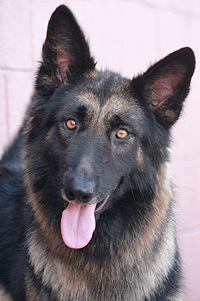 Helga von Helbra is a gorgeous 1-2 year old long haired German Shepherd. 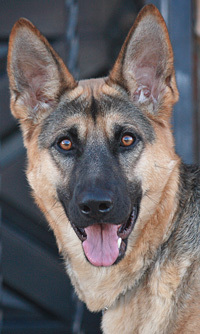 Kiara von Kiesby is a gorgeous 12-14 month old German Shepherd. 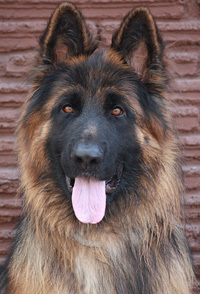 Barron von Bernau is a wonderful 3 year old long haired German Shepherd. 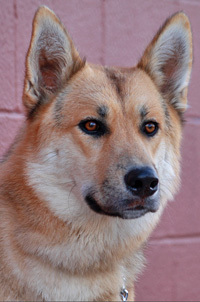 Chuck von Wolsic is a stunning 14 month old German Shepherd mix. 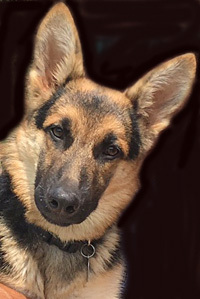 Zoey Von Zeitz is a wonderful 8-9 month old German Shepherd. 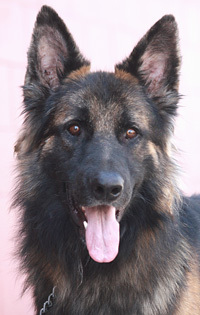 Roman von Ritter is a stunning 2 year old long haired German Shepherd. 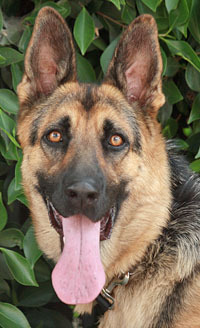 Mack von Kraichtal is a gorgeous 2 year old German Shepherd. 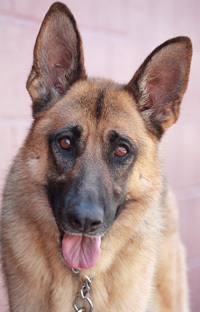 Dodger von Dobritz is a gorgeous 5-6 year old German Shepherd with the cutest face. 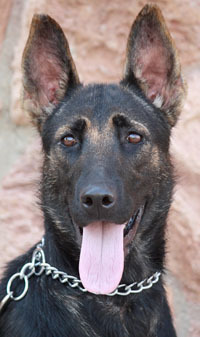 Engel von Elsnig is an adorable 10-11 month old German Shepherd. 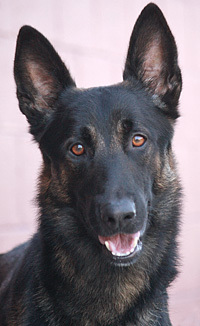 Sargent von Schuby is a very handsome 14 month old German Shepherd. 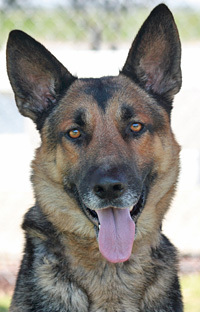 Klaus von Kittlitz is a very handsome 2-3 year old German Shepherd. 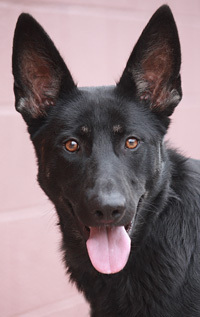 Sequoia von Hariton is a beautiful 1-2 year old sable German Shepherd. 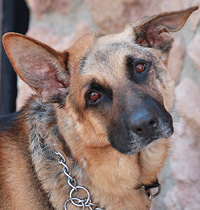 Paquita Von Prem is a stunning 5 year old German Shepherd with some Nordic breed mixed in. 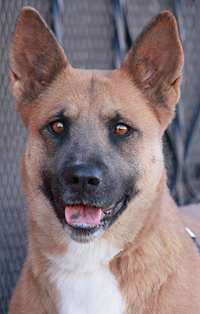 Cheyenne von Chieming is a delightful 4 year old Shepherd mix. 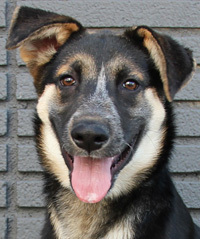 Piper von Perahta is an enchanting little 6-7 month old Shepherd mix. 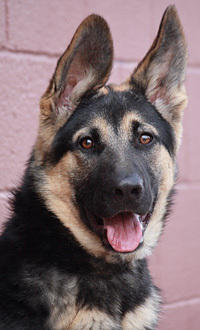 Harmony von Hemau is the cutest 11-12 month old German Shepherd. 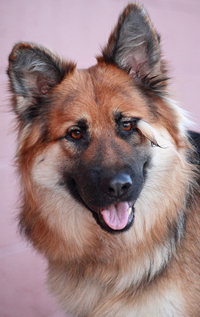 Clementine von Calau is a stunning 16 month old German Shepherd. 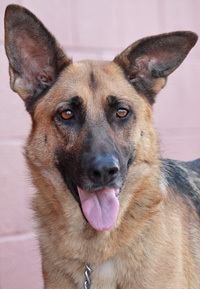 Lucy von Lollar is a gorgeous 4 year old German Shepherd. 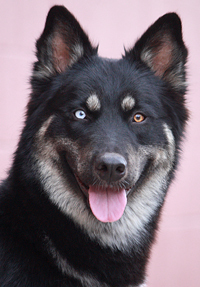 Sitka von Sinsheim is a stunning 1-2 year old Husky mix. 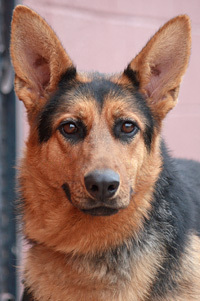 Alice von Alkersum is a gorgeous 1-2 year old German Shepherd. 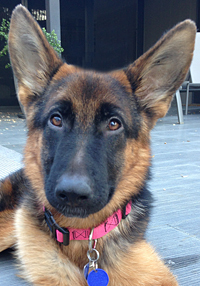 Danae von Dannau is an adorable 6 month old German Shepherd pup. 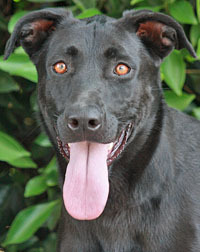 Dolly von Dollern is an adorable 7-8 month old black sable Shepherd mix. 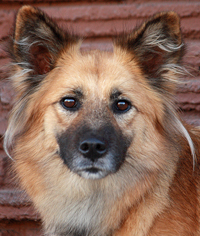 Destiny von Detmold is a wonderful 2 year old Shepherd/Border Collie mix - our best guess. 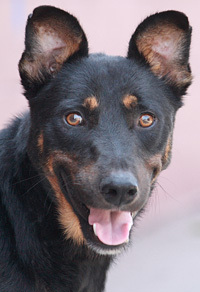 Demi von Demmin is a delightful and goofy 10-12 month old Aussie/Heinz 57 mix male! 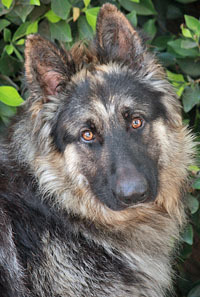 Jaxon von Jager is a stunning 14 month old long haired German Shepherd. 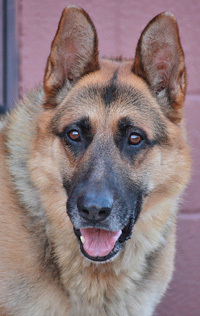 Luke von Lubz is a very handsome 4-5 year old German Shepherd. 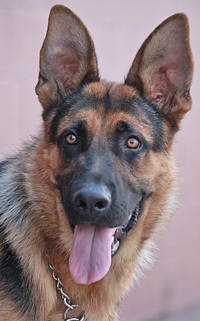 Brutus von Bruck is a gorgeous 9 month old German Shepherd. 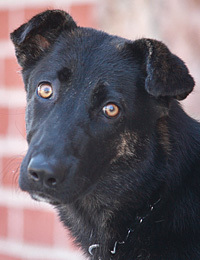 Pepsi von Perahta is an adorable, smaller sized 6-7 month old Shepherd mix. 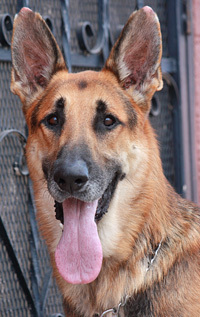 Arnold von Amberg is a gorgeous 3 year old German Shepherd. 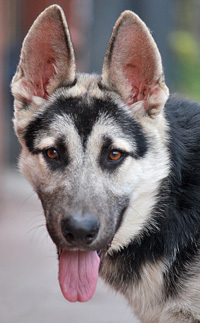 Prince von Preist is a delightfiul 14 month old German Shepherd/Husky mix. 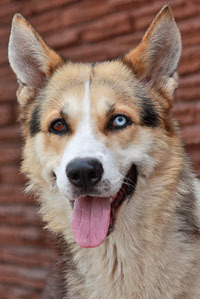 Zorro von Zurich is a stunning 2 year old smaller sized Husky mix. 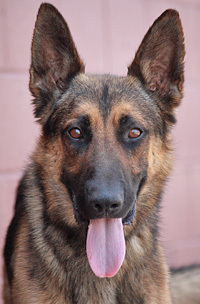 Miles von Miesbach is a beautiful 2 year old German Shepherd. 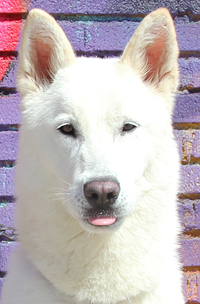 Skye von Syke is a stunning 12 month old German Shepherd. 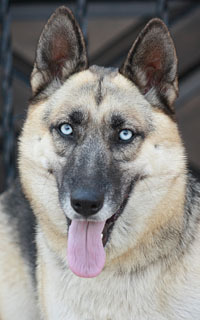 Blue von Lollar is a stunning 3 year old German Shepherd/Husky mix. 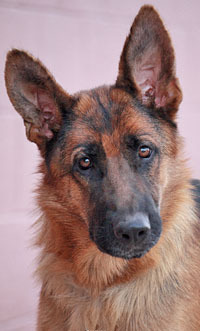 Beau von Beckum is the sweetest 2-3 year old German Shepherd. 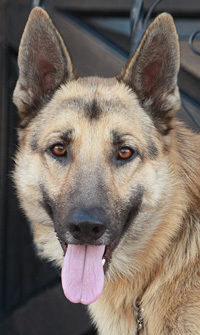 Apache von Apfeldorf is a gorgeous 3-4 year old German Shepherd. 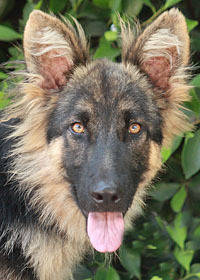 Johann von Joldelund is a gorgeous 3 month old long haired German Shepherd puppy. 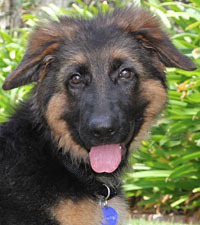 Evie von Evessen is a beautiful 12-13 week old German Shepherd puppy. 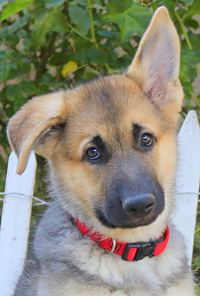 Scarlet von Saarlouis is an adorable 10 week old German Shepherd puppy. 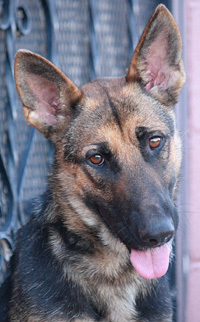 Nathaly von Nauen is a gorgeous 1-2 year old German Shepherd. 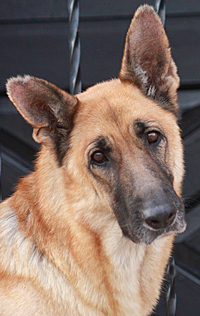 Fanta von Fritzlar is a beautiful 4-5 year old German Shepherd. 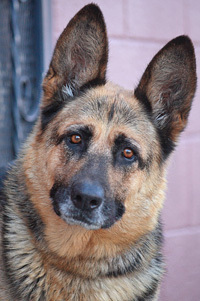 Kema von Kemberg is a gorgeous 5 year old German Shepherd. 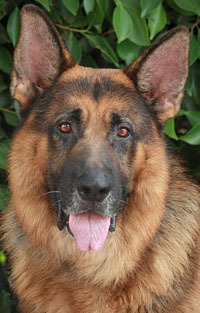 Steeler von Steffen is a regal 4 year old male German Shepherd. 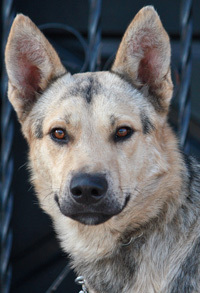 Paco von Pahl is the cutest 8 month old Shepherd mixed with a smaller breed or two. 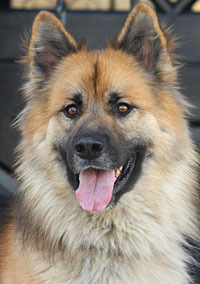 Romeo von Romerberg is a gorgeous 3-4 year old sable German Shepherd. 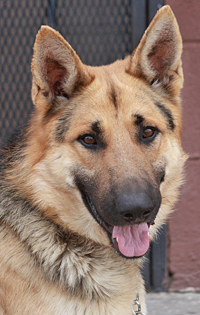 Cody von Colpin is a beautiful, larger sized 2 year old German Shepherd. 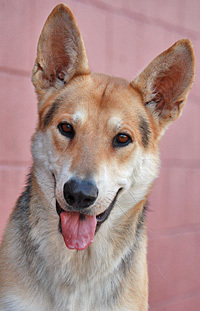 Dublin von Duren is a charming 1-2 year old German Shepherd mix. 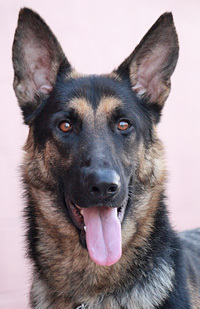 Drake von Drebkau is a beautiful 2 year old German Shepherd. 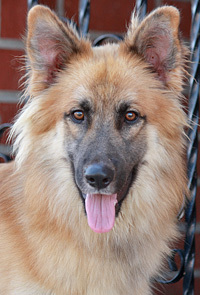 Lass von Laatzen is a stunning 1-2 year old fluff of cuteness. 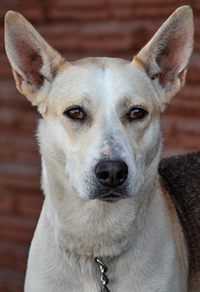 Heilala Von Heinade is a stunning 3 year old Shepherd mix. 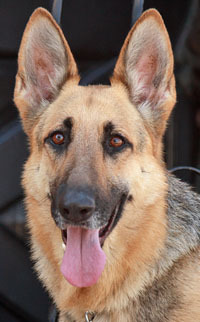 Rita von Rietberg is a wonderful 12 month old German Shepherd. 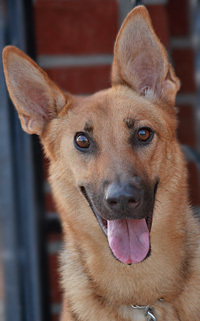 Biscuit von Benningen is an adorable 6 month old Shepherd mix. 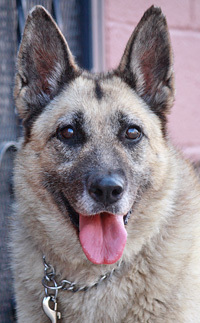 Willow von Wien is a wonderful 5-6 year old Shepherd mix lady. 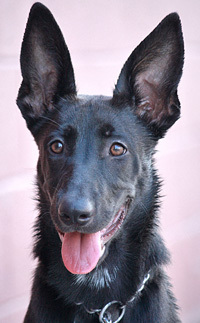 Luna Noir von Luneburg is a beautiful 7 month old German Shepherd. 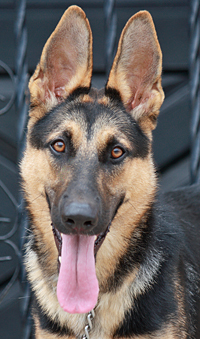 Parker von Pattersen is a picture perfect 12 month old German Shepherd. 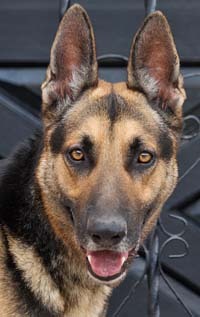 Charlie von Coburg is a beautiful 14 month old German Shepherd. 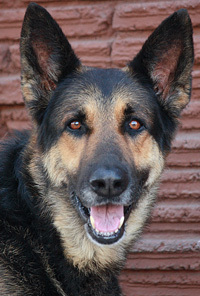 Aksel von Anklam is a wonderful 6-7 year old German Shepherd. 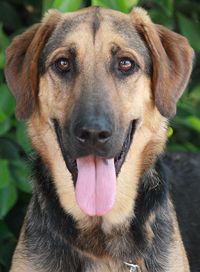 Elke von Elkenhof is a delightful 10-11 month old Shepherd mix. 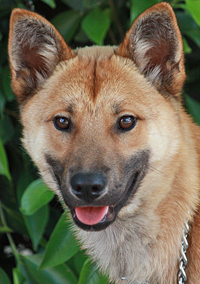 mix (mixed with a small breed) puppy. No cats or small dogs! 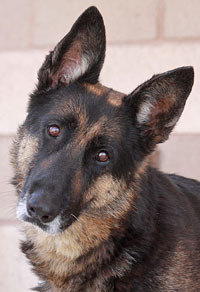 Copyright © 2004-07 Westside German Shepherd Rescue. All rights reserved.